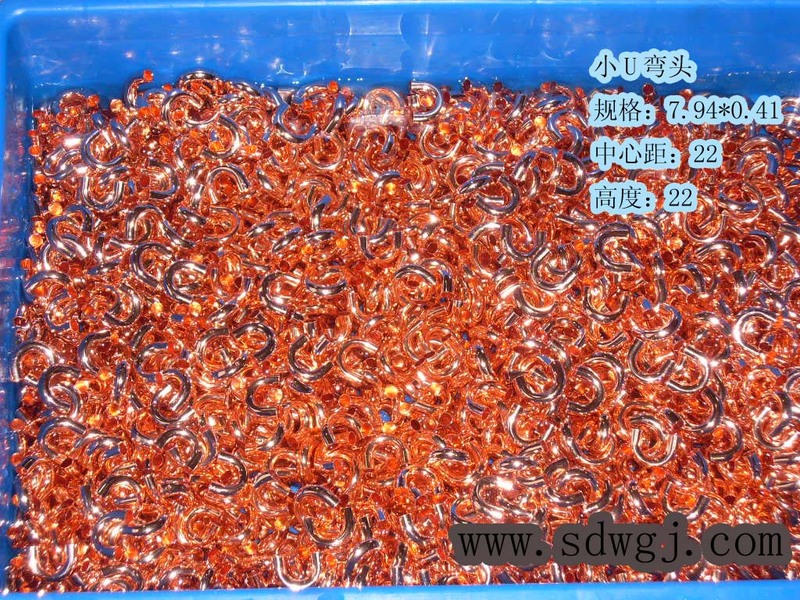 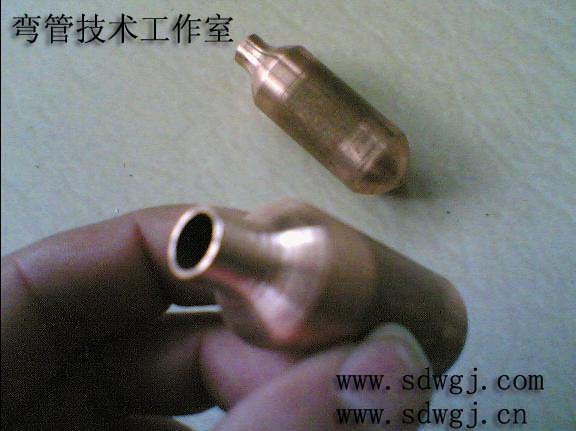 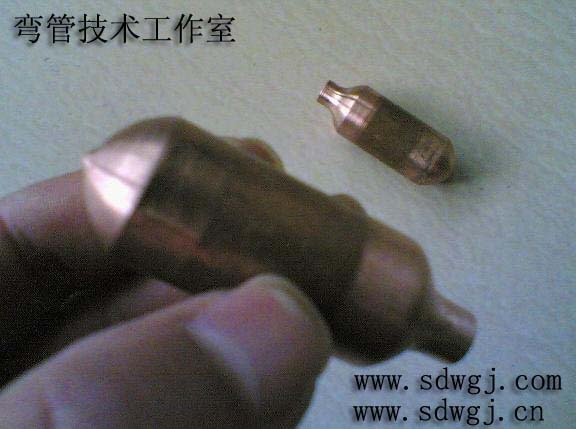 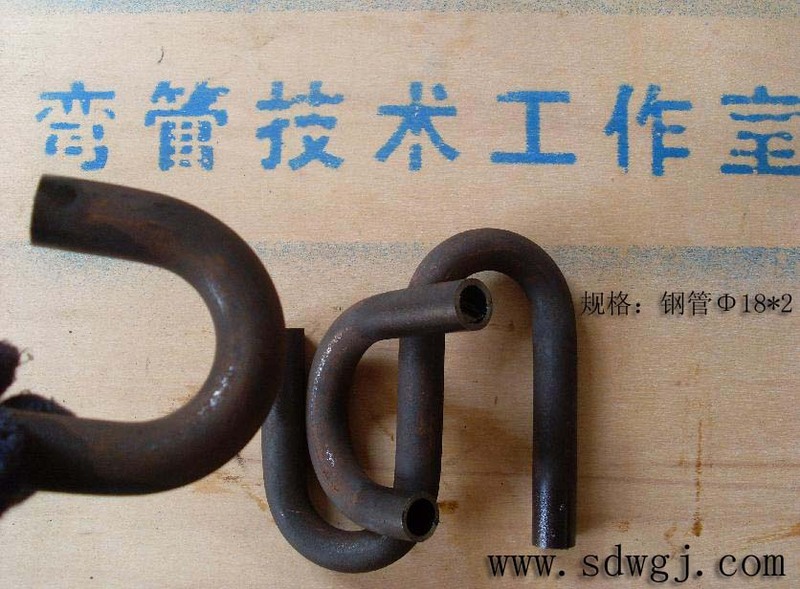 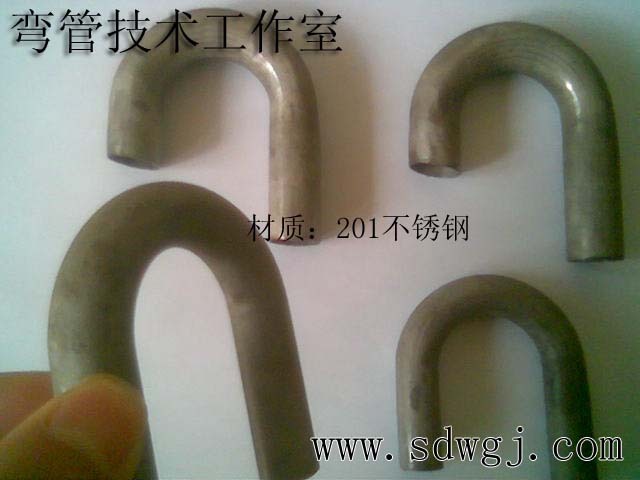 产品展示--宁海县贝实德模具厂(弯管技术工作室) U型弯管 热管弯头 S型弯管 冷凝器 三通管 笛管（翻孔）笛管冲孔翻边　汽车管路件　汽车管配件生产加工 弯管机 小半径弯曲 极限弯管 极限弯曲 制冷配件加工 U型管连续弯管机 急弯式旋转弯管机 连续弯头式弯管机 五金产品加工 铝管弯管机 立式手动弯管机 可调式手动弯管机 弯管器 冲压模具 五金弯管模具设计 弯管模具设计标准 弯管模具设计 弯管设备 如：各种规格弯管 U型弯管 过桥弯管 水箱弯管 三通管 蛇形管弯管 V型管 笛管 注液管 消声器 过滤器贮液器 T型管 Y型管 及特殊型状的各种连接管 不锈钢弯管等组件配件，弯管机 弯管模 手动弯管模具 手动弯管机 弯管厂 小u弯管机 手动弯管加工机 冷弯式型简易手动弯管机 不用加热灌沙等工艺 加芯弯曲 弯管防皱模具 弯管模具图 空调 弯头 管帽 异径管 8*0.5R11.25的U型弯管材质304L（软态）材料可以来料加工 手动弯管机技术参数 模具加工 供应弯管模具 冲件模具 手工弯管 手工弯管机 弯头 弯管 铜管弯头 铝弯头 直角弯头 铜弯管 铝弯管 铝管弯头 U型管 S型管 铁管 浙江弯管 杭州弯管 宁波弯管 宁海弯管 深圳弯管厂 无锡手动弯管机 上海手动弯管机 弯管加工 管材弯曲 管材加工 扩口 缩口 拉眼 冲径 起鼓 防皱模 弯管模 关节球加工 小半径弯管 小半径弯曲 极限弯管 极限弯曲 制冷配件加工 空调配件加工 空调配件 冰箱配件 散热器配件 冷凝器配件 钢管 不锈钢弯管 U型弯管 三通管 笛管（翻孔） 注液管 消声器 过滤器 贮液器 T型管 Y型管 及特殊型状的各种连接管等铜管组件制冷配件模具的开制 产品加工业务 QQ：24584165 工作室传真：0574-65289839 手机：13586675050 网址：www.sdwgj.com Email:andynh2000@yahoo.com.cn 地址:浙江省宁海县深圳镇南溪村 邮政编码:315614 This type of manual pipe bender particularly suitable for processing large number of the U-bend. 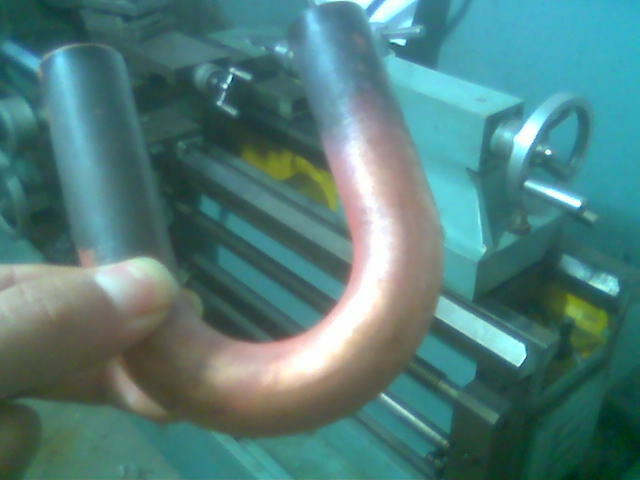 processing technology with the traditional U-bend is the first general process cutting-ends-first-bend bends (1:00 short of the elbow bend bend before Cypriot first-use anti-skid lining live) - After two bends good port-milling, Due to the short 1:00 elbow at the mouth of the milling product positioning within the fixture difficult to control, processing products from both ends varies, affect product quality, such as the use of the studio this type of pipe equipment for the processing of a topic blanking -first argue bend, not lining Cypriot head bends good-out after no-first, has produced such as product images shown in shape after the sawing machine on the middle saw it had a U-bend, and processing speed Die stability, and in the professional processing of the U-bend products enterprises are very popular. 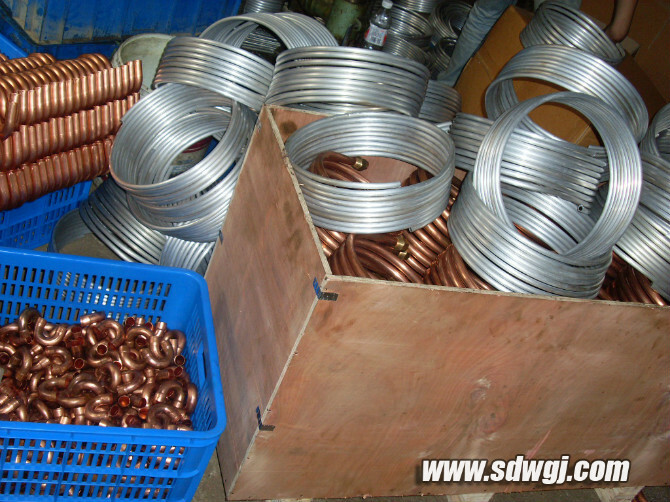 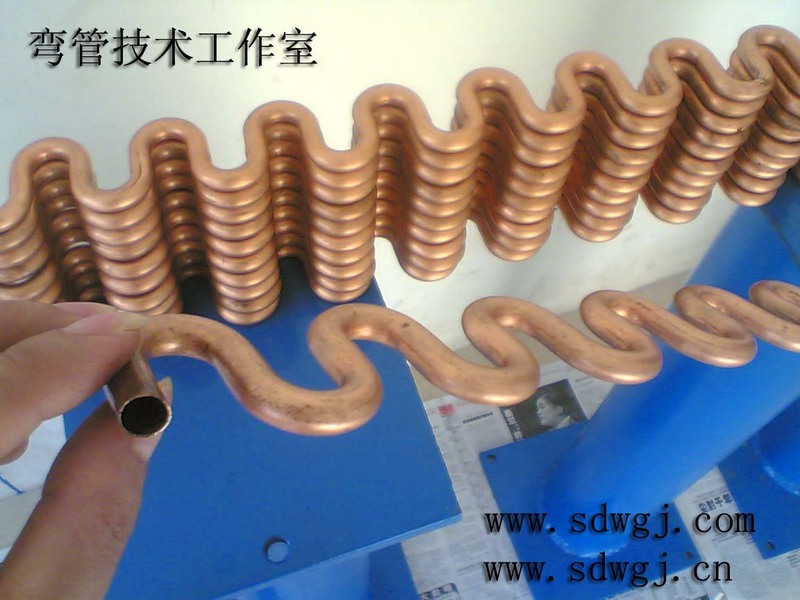 Versatile manual processing machine can bend the majority of the type of pipe products, strong application, In general air conditioning refrigeration accessories accessories manufacturers electric heating pipe manufacturers gas pipe manufacturers solar manufacturers, there is still a small number of products plant Andrew is the best weapon indispensable, but also has an automated bending machine after a complement, For example, a power failure or pipe cyclical maintenance equipment can be used when the manual pipe bender to the contingencyTo undertake various forms of special pipe products processing mold development. 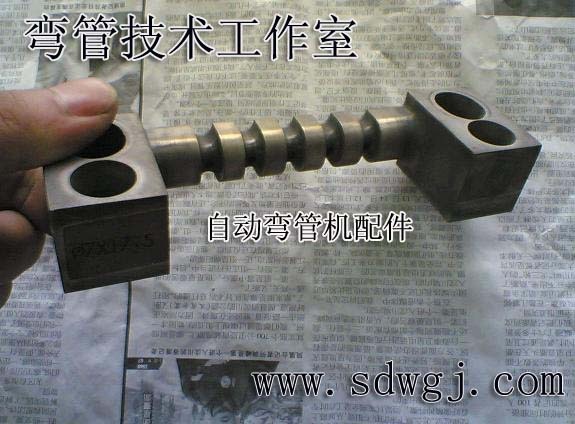 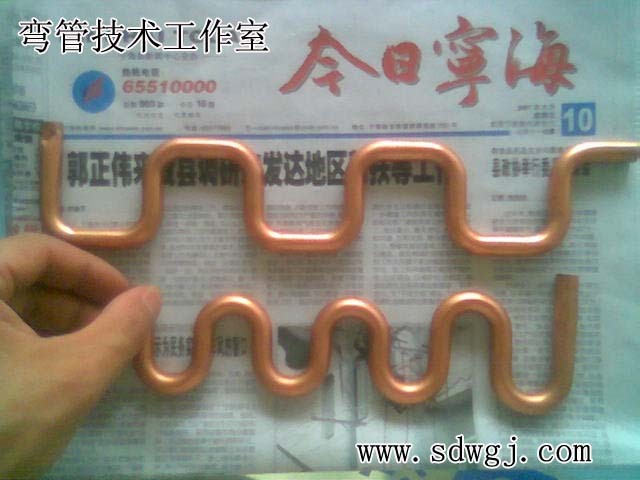 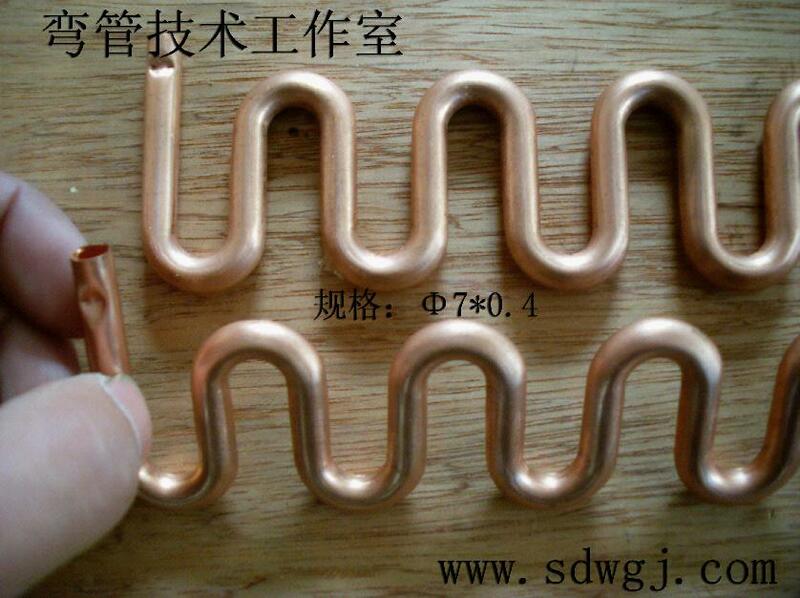 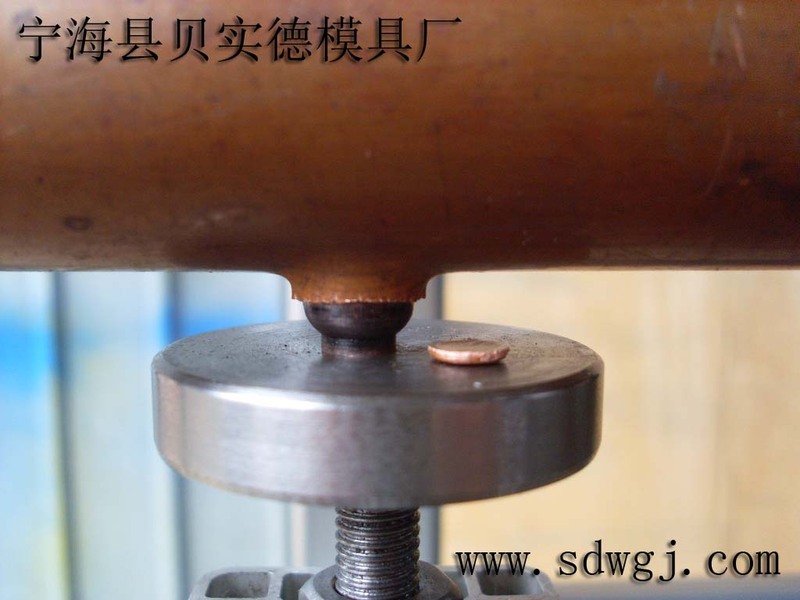 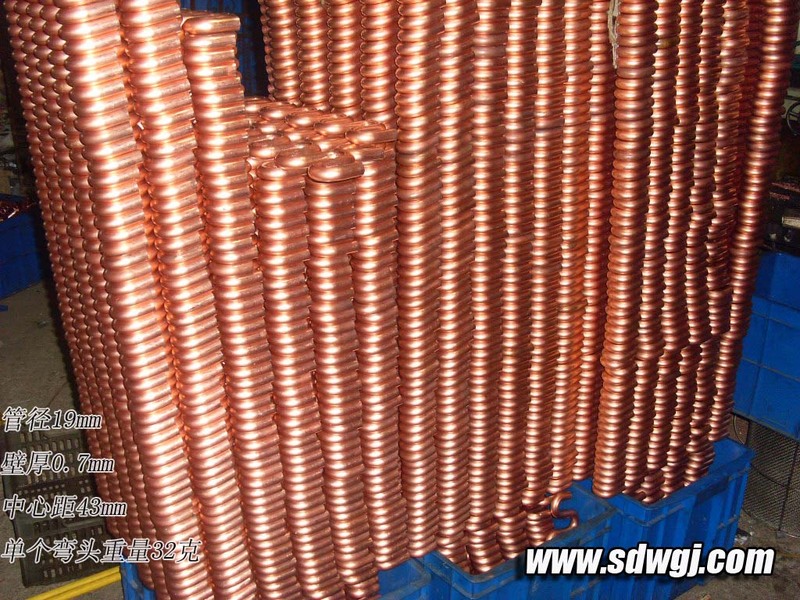 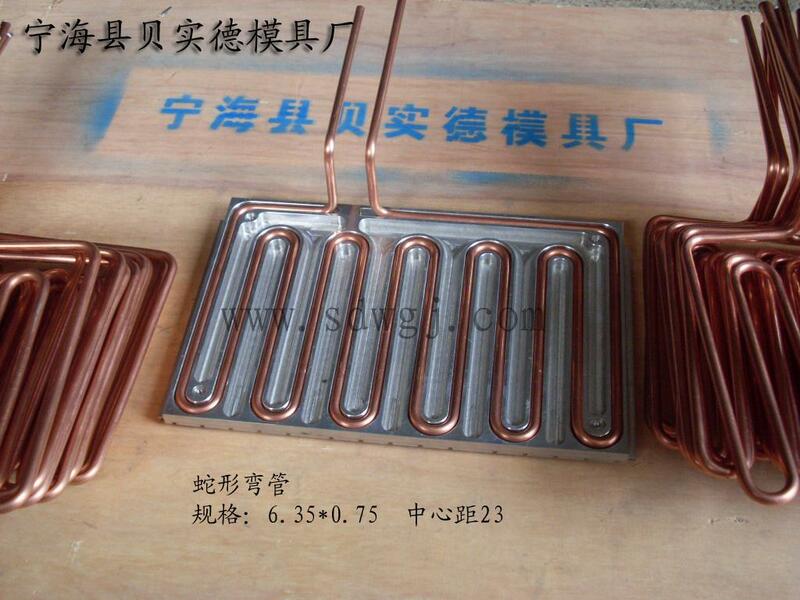 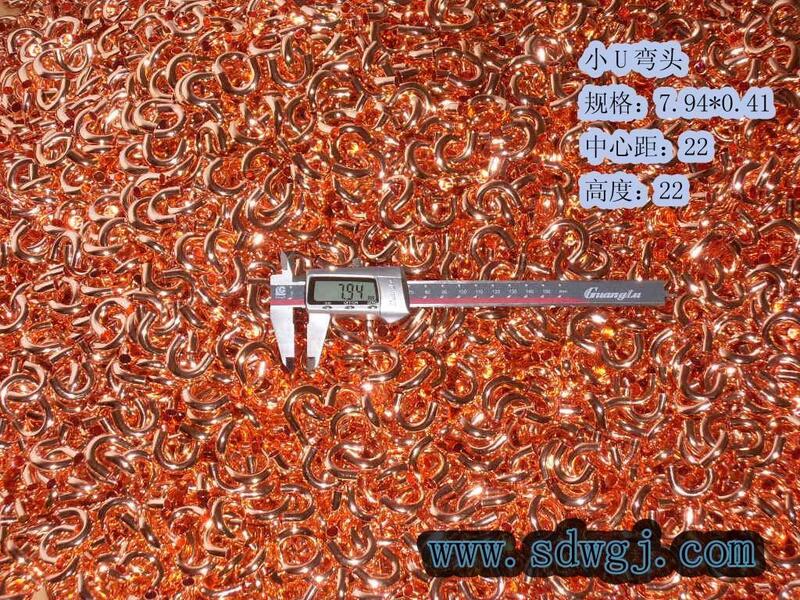 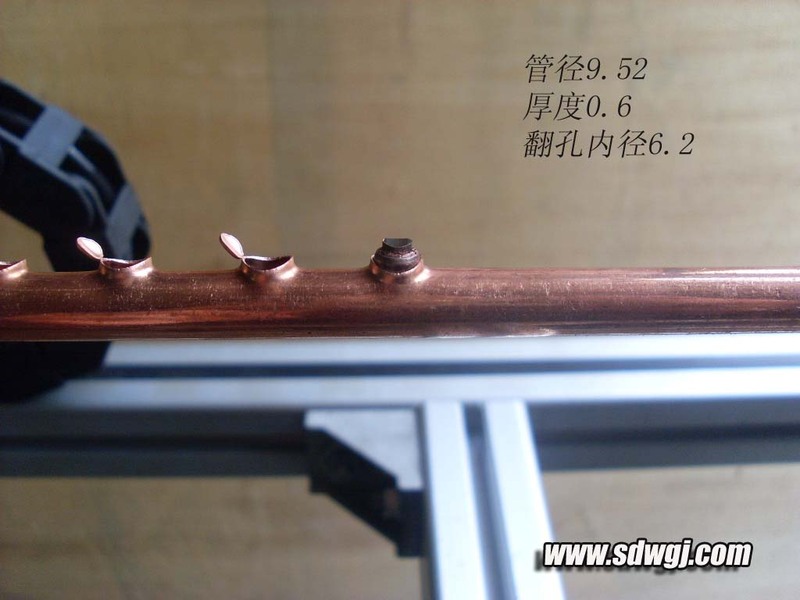 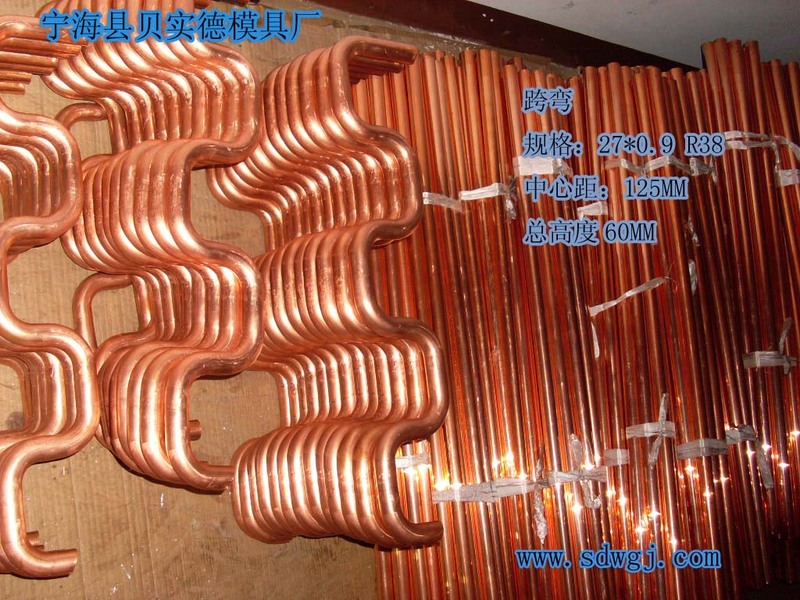 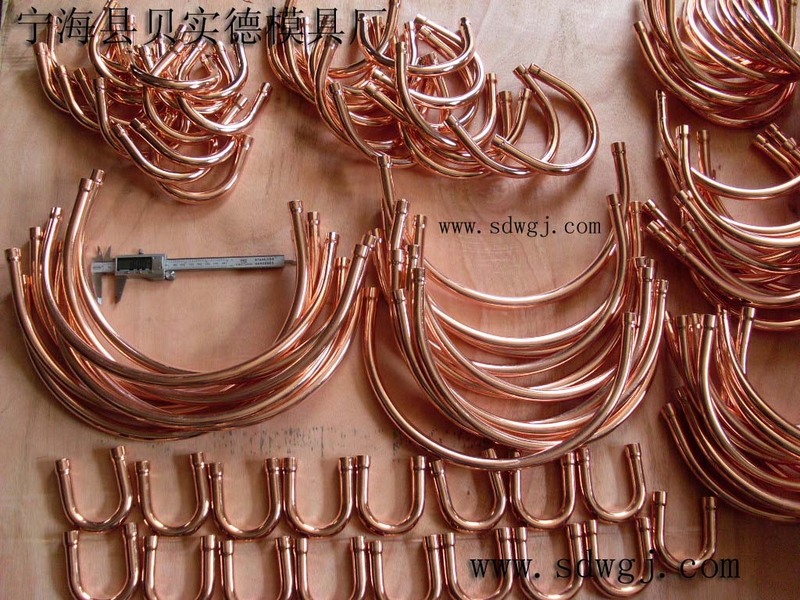 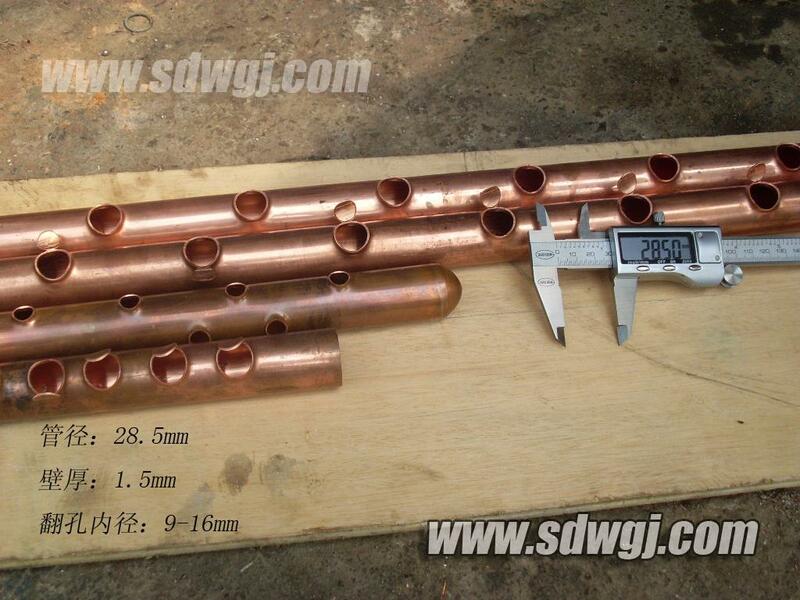 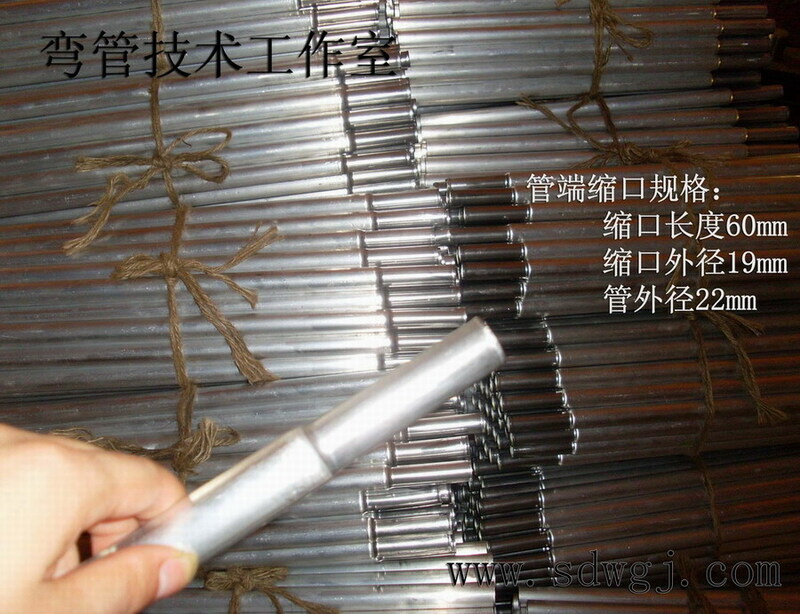 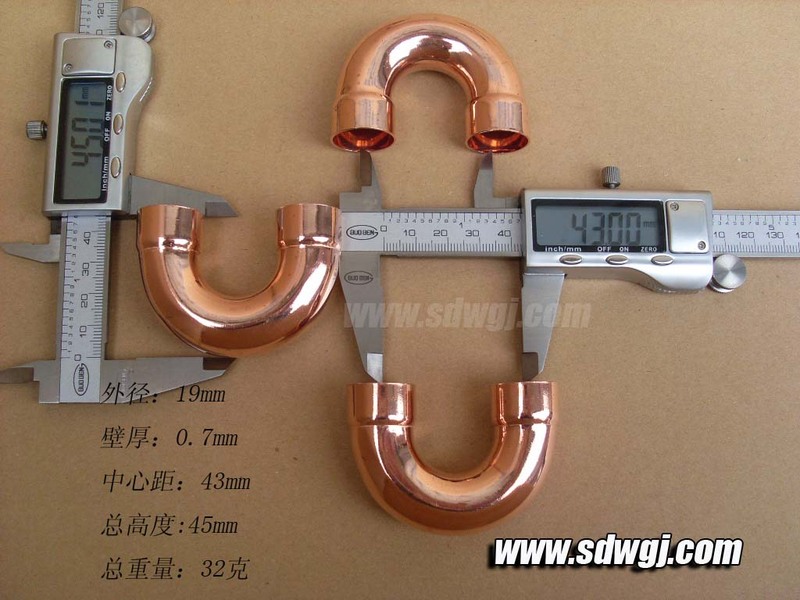 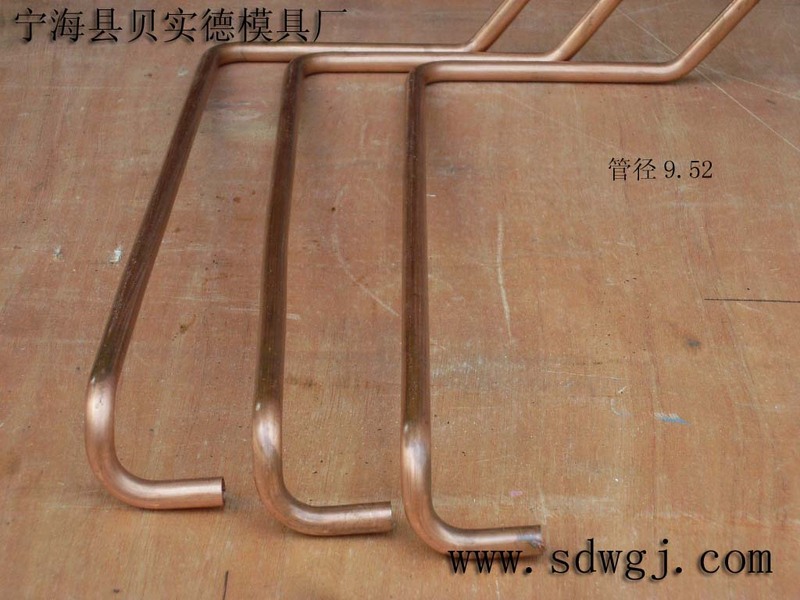 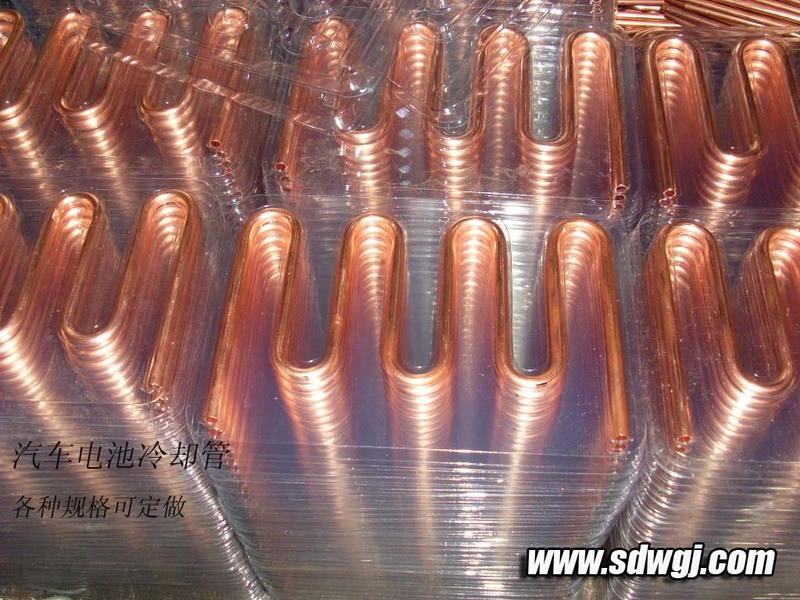 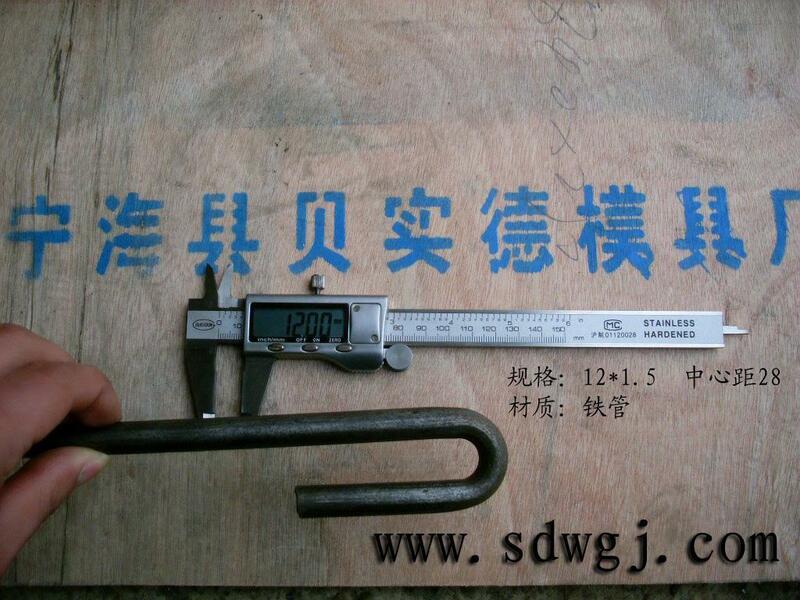 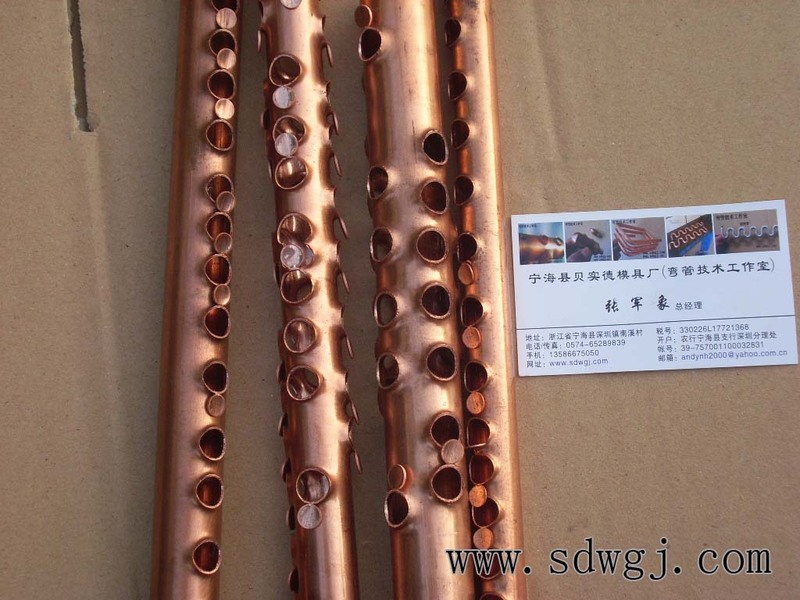 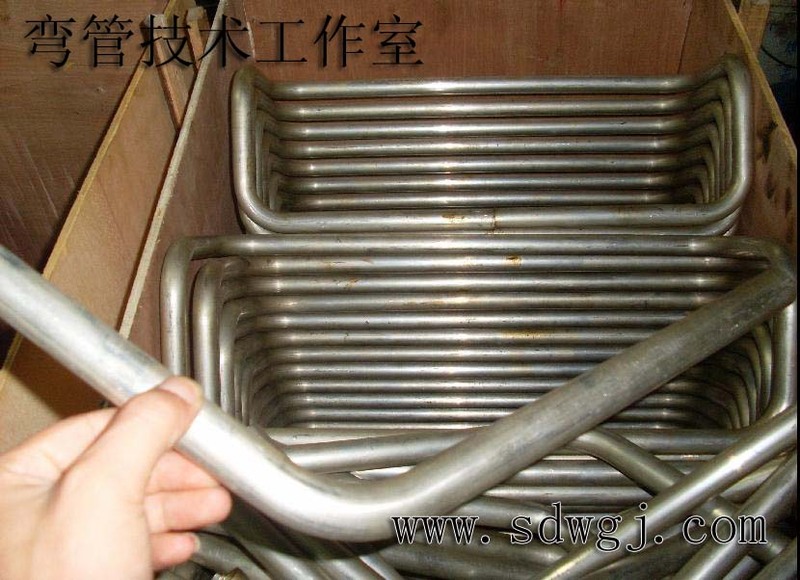 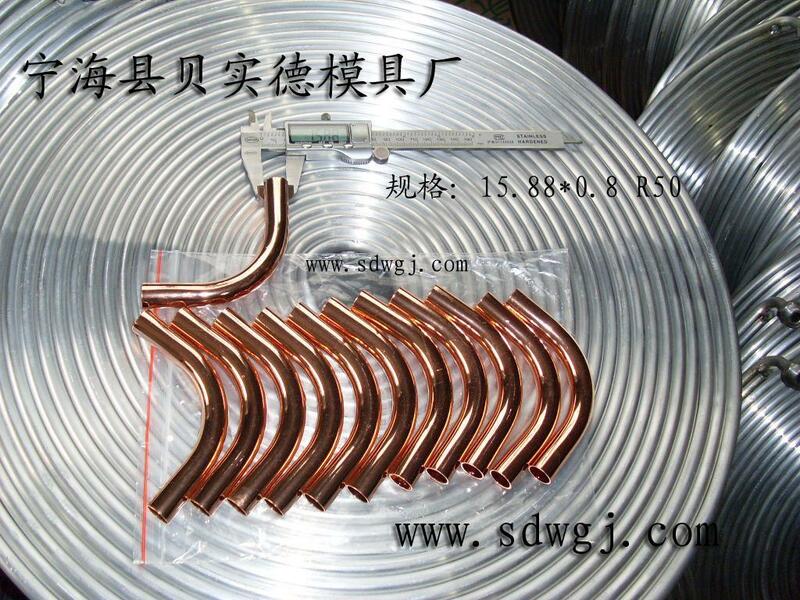 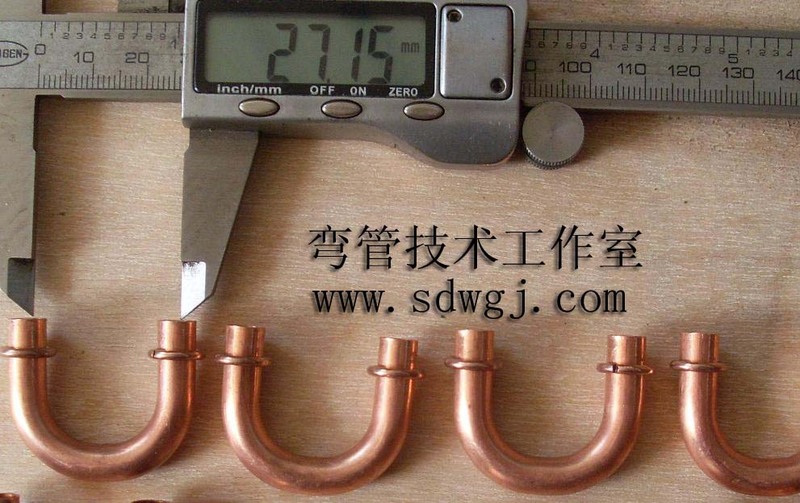 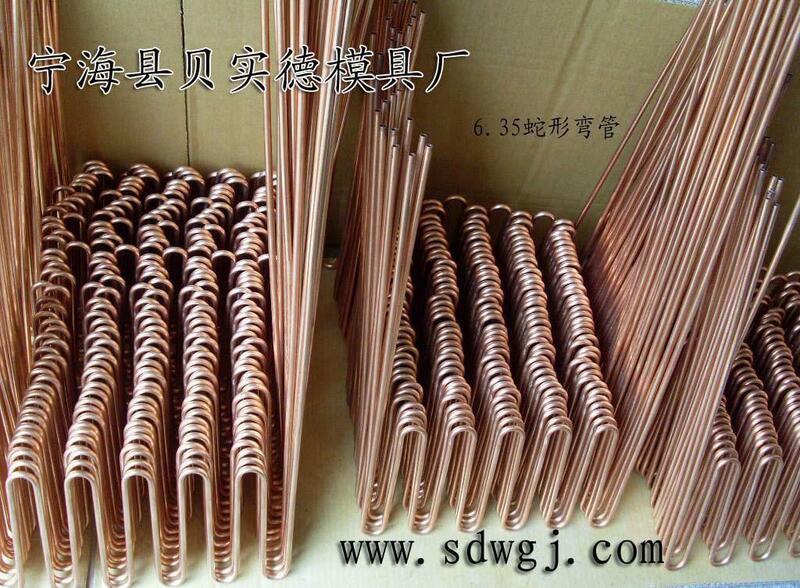 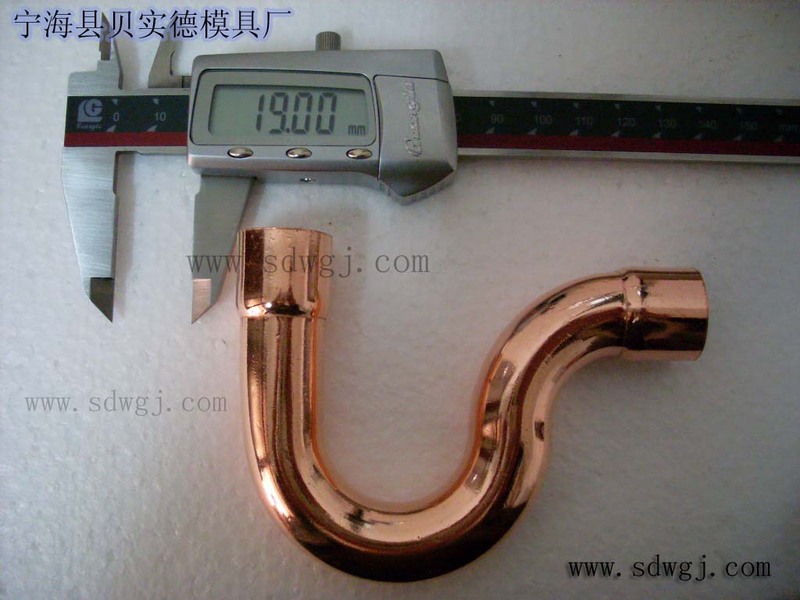 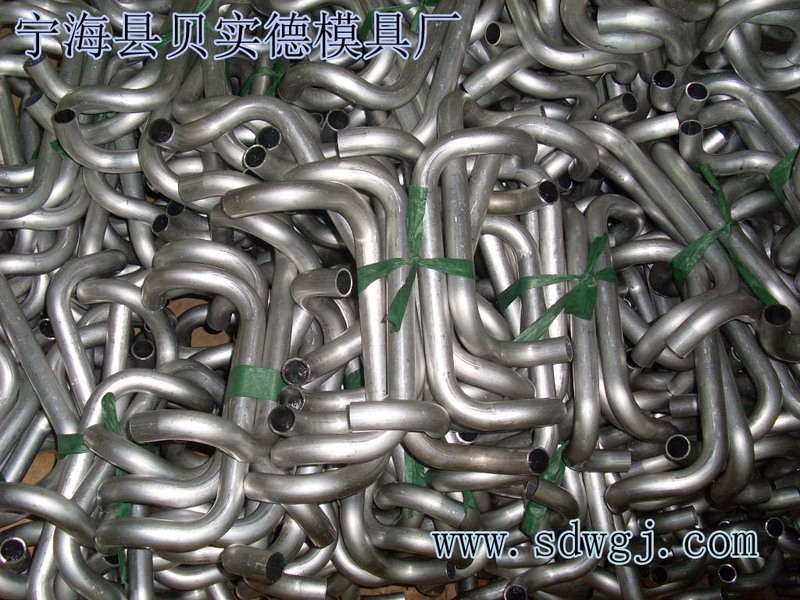 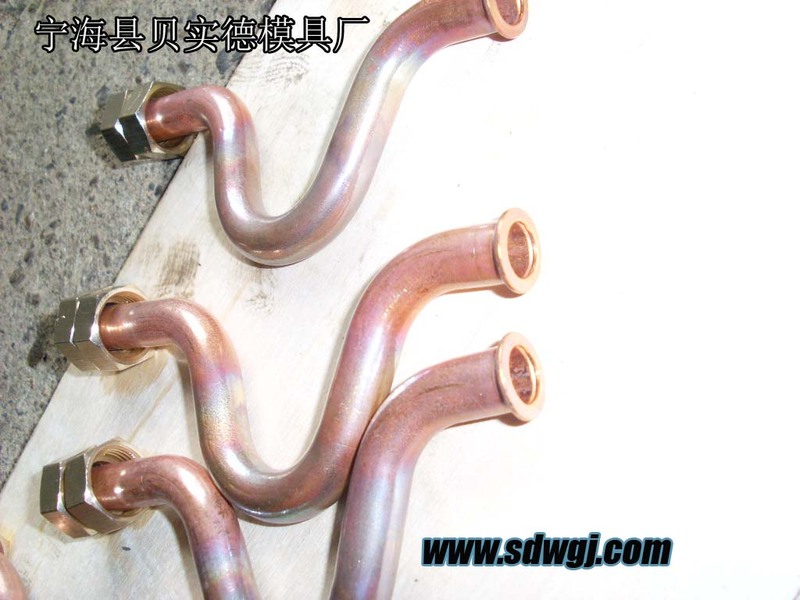 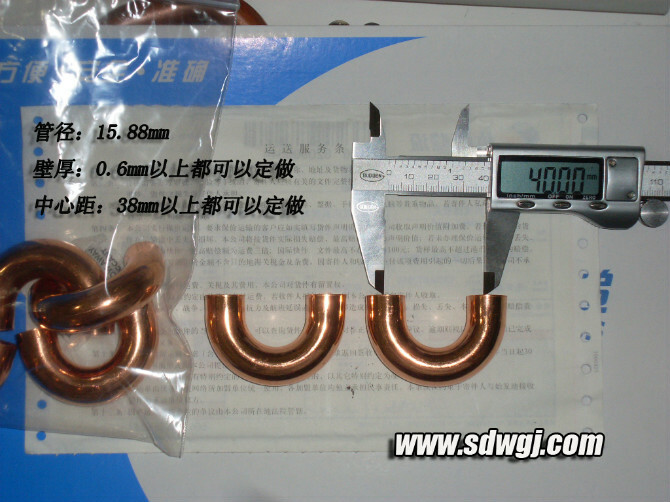 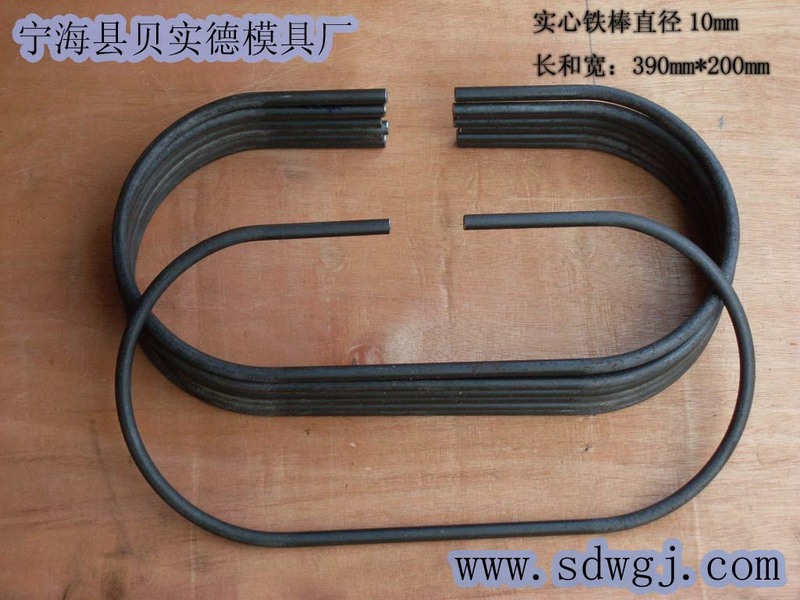 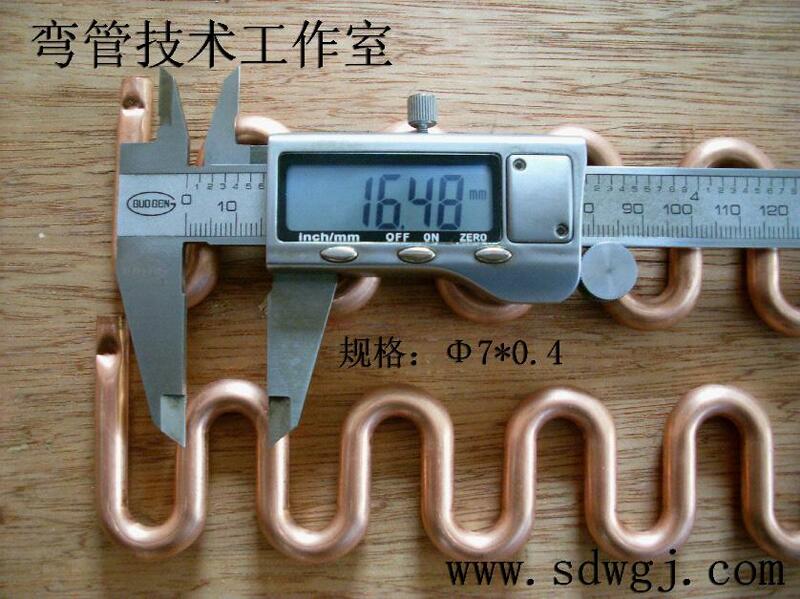 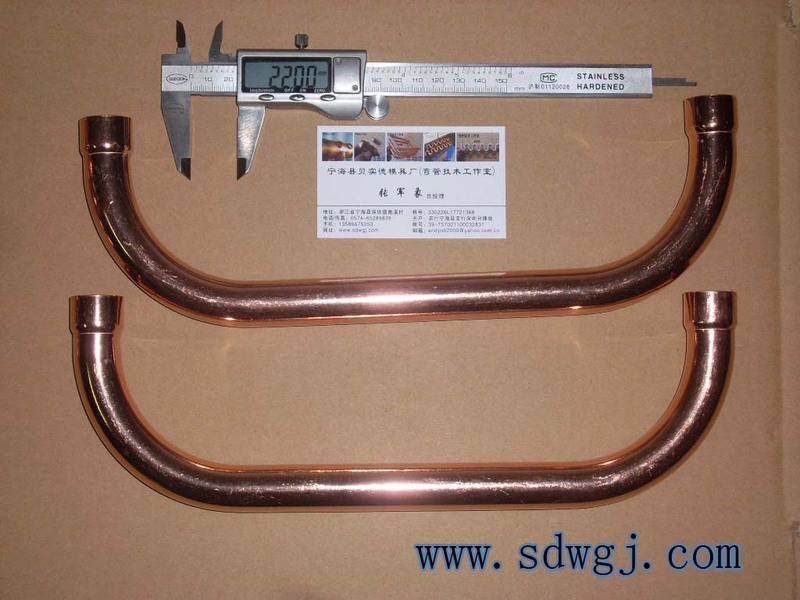 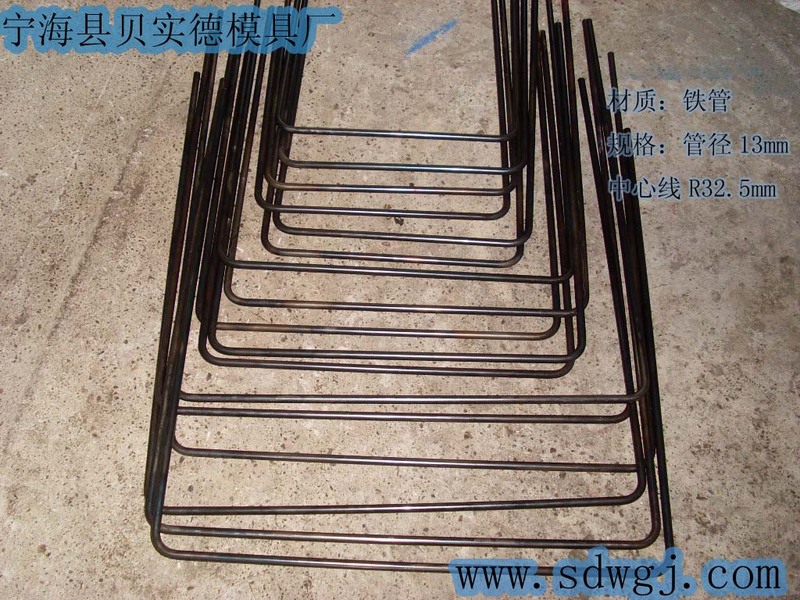 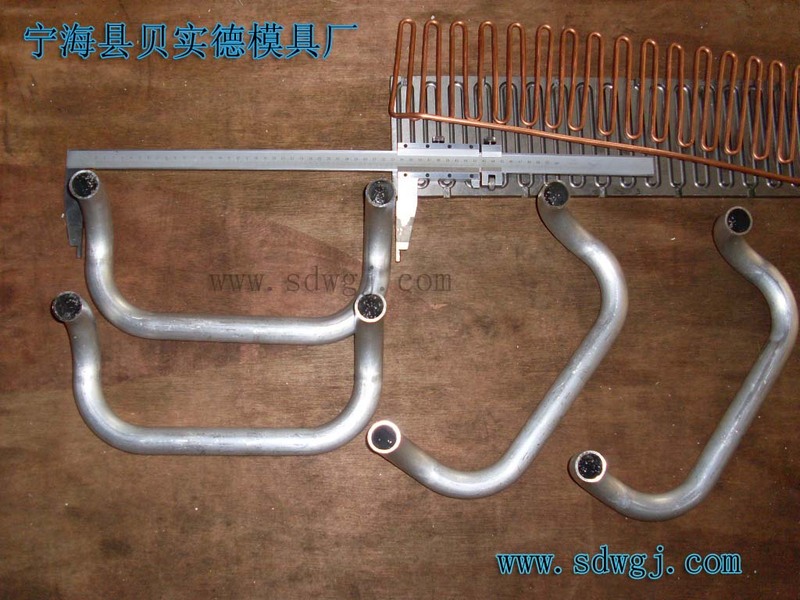 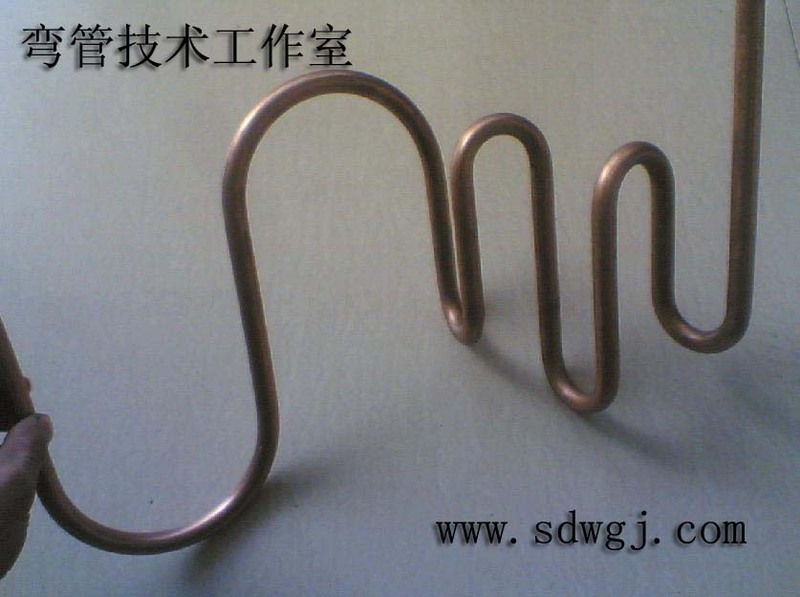 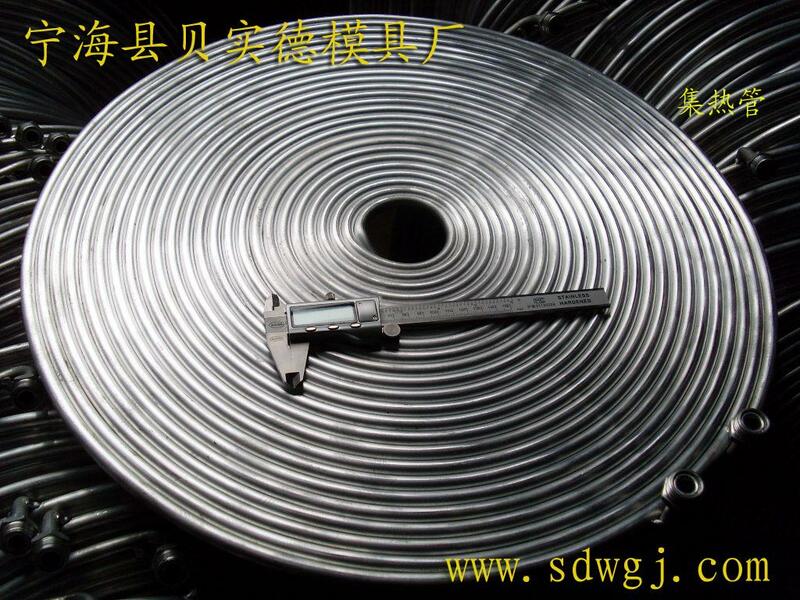 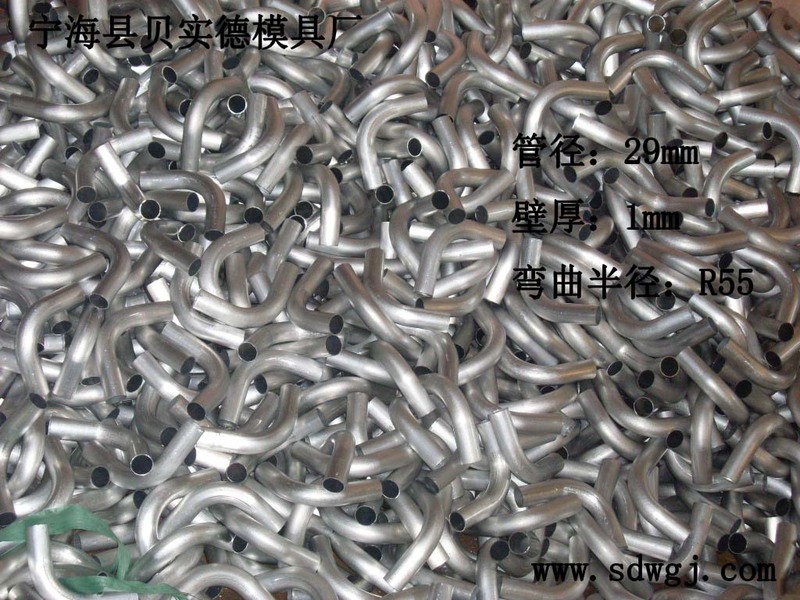 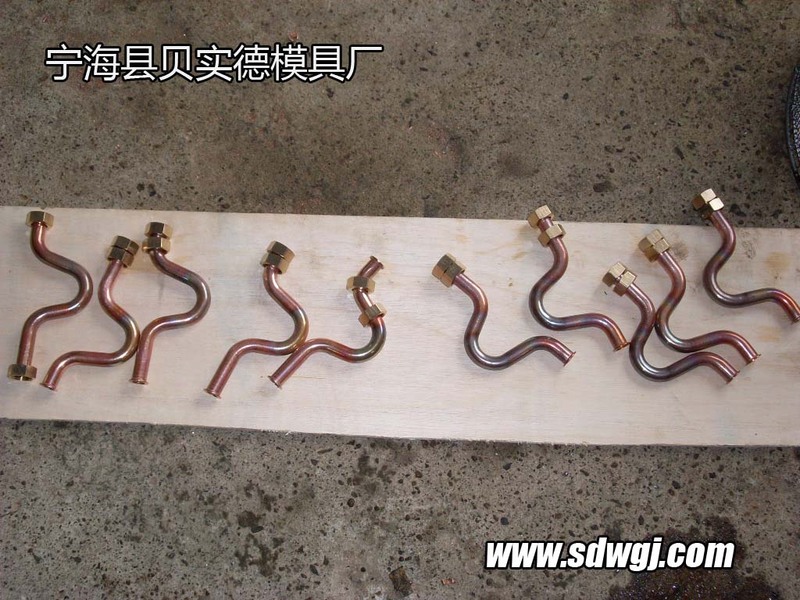 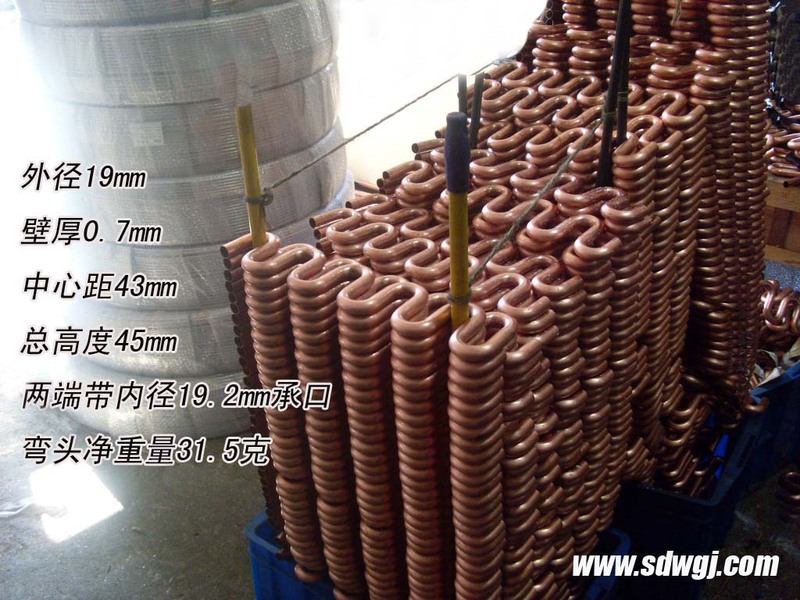 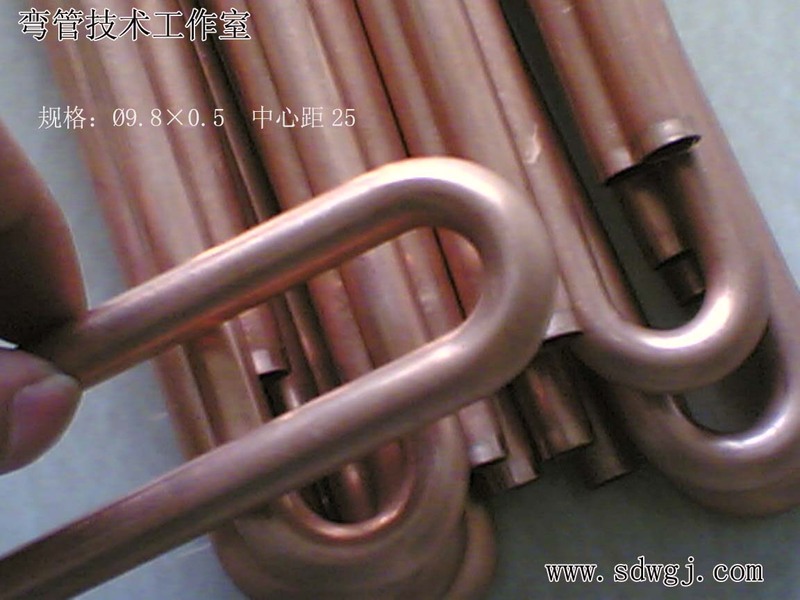 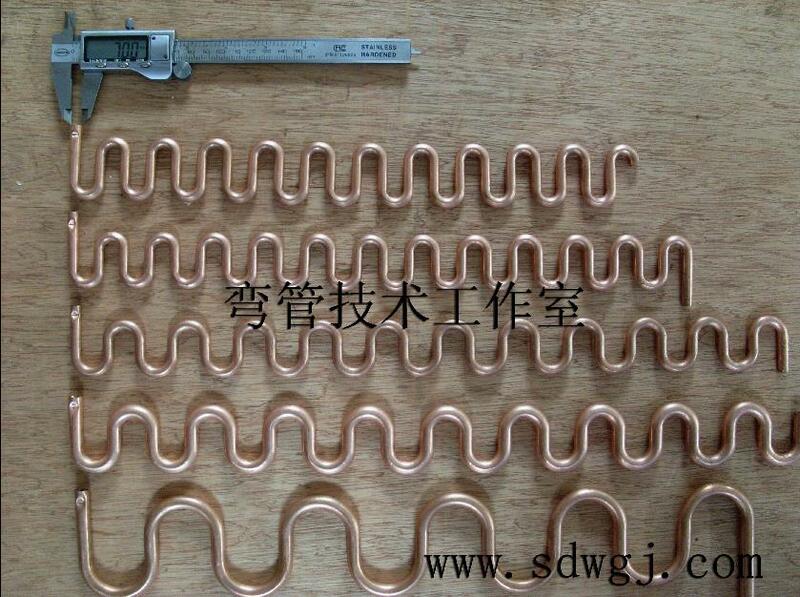 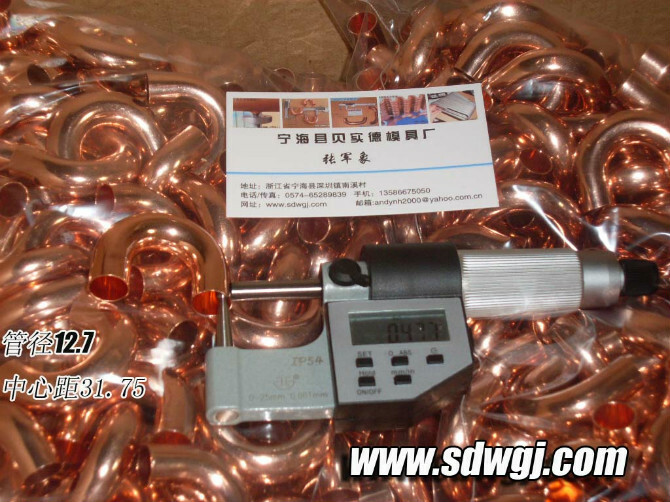 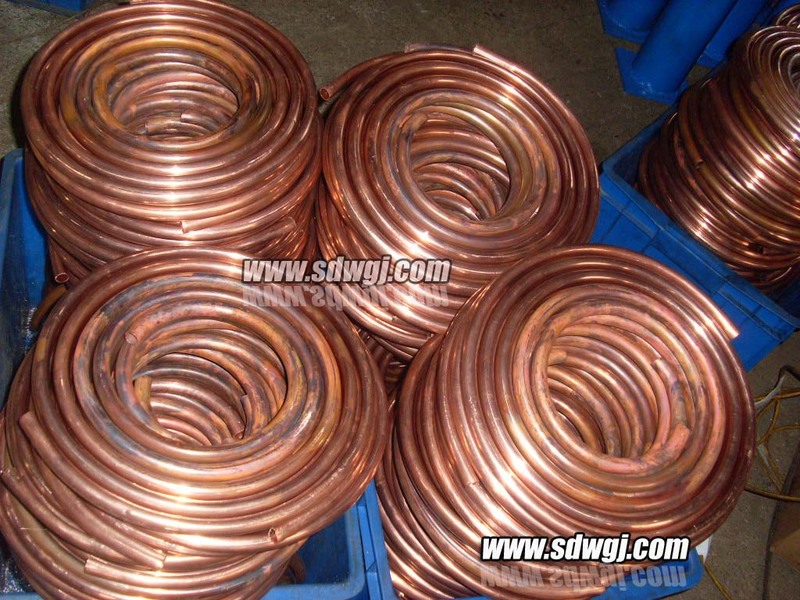 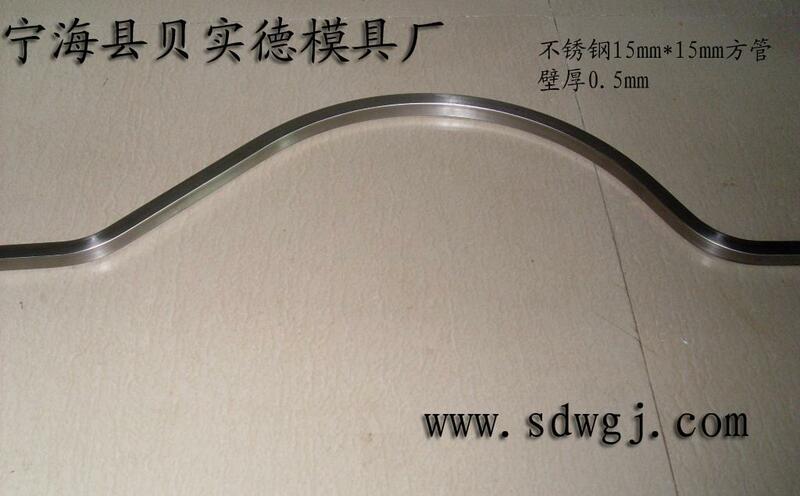 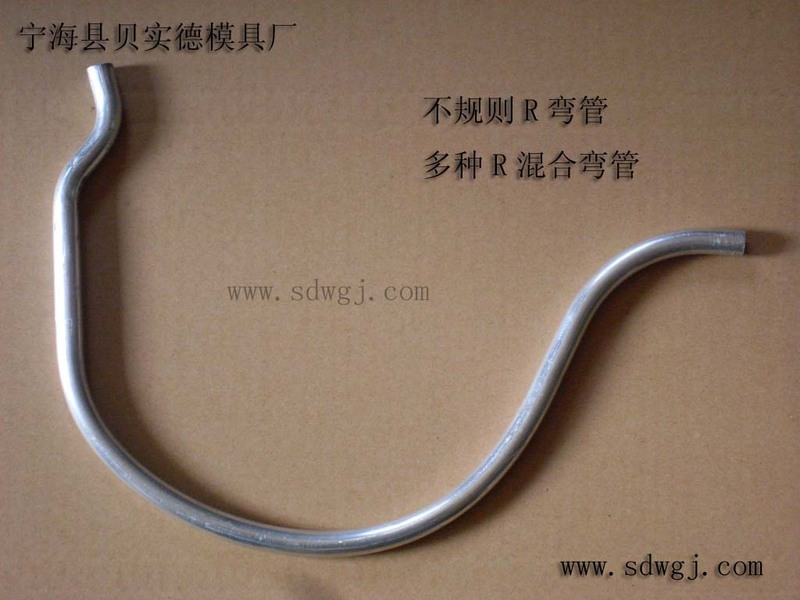 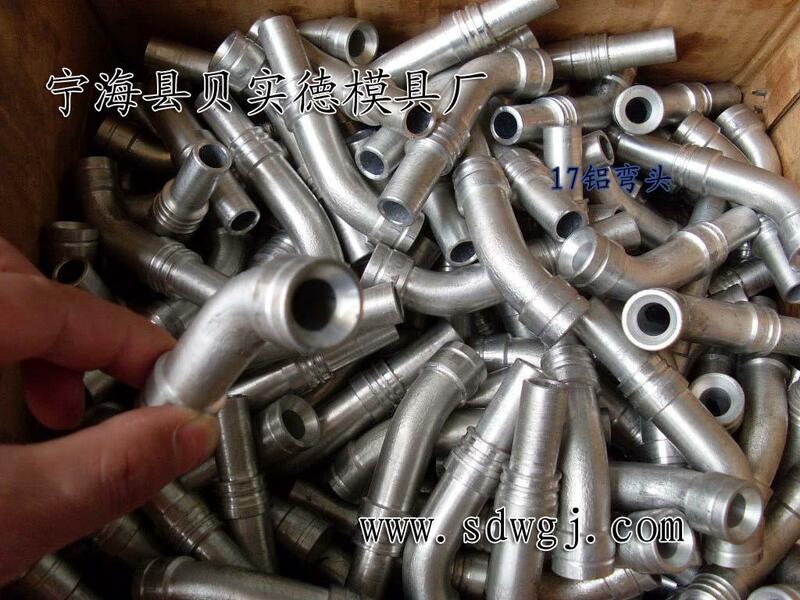 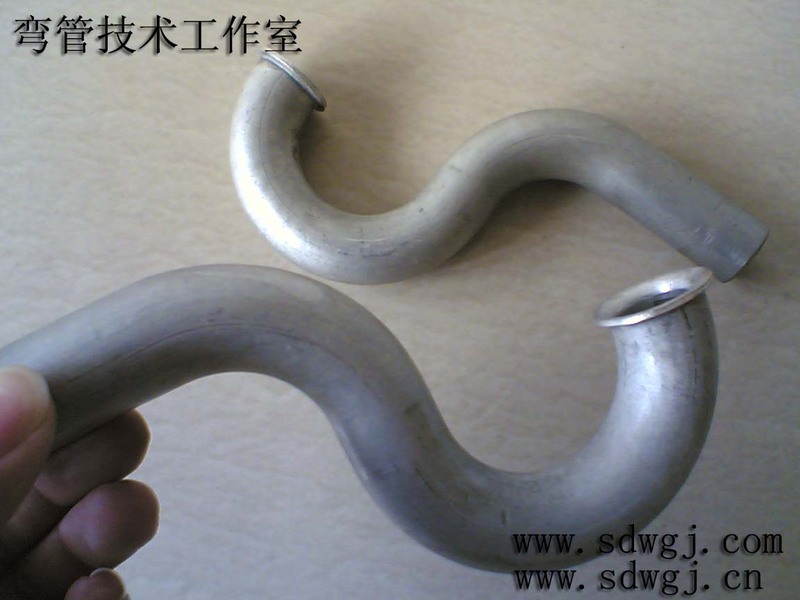 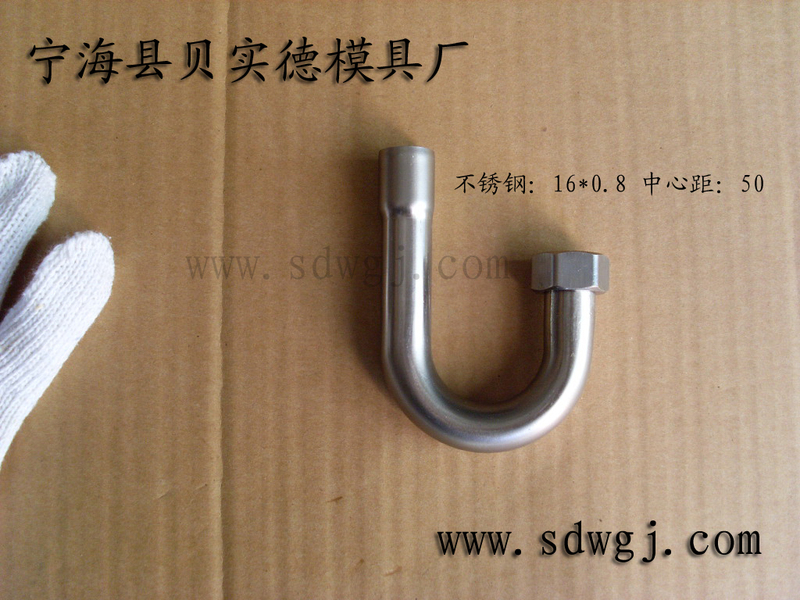 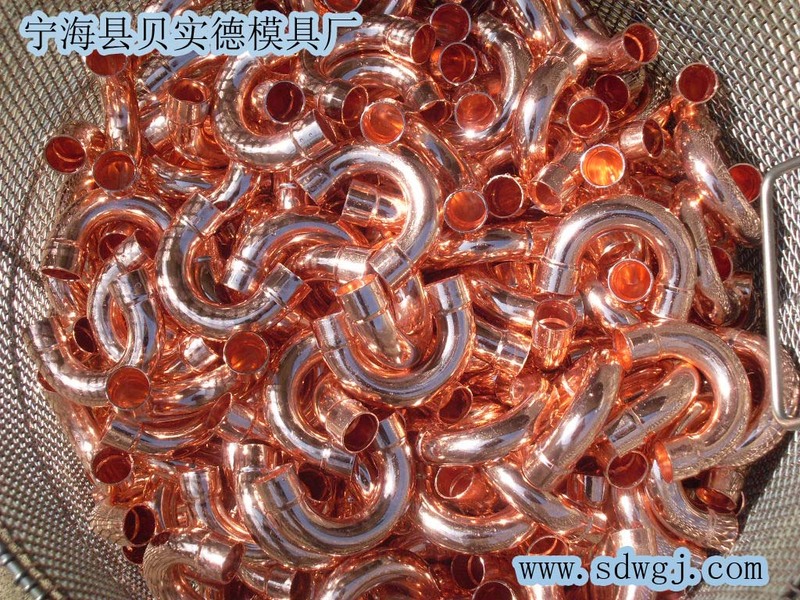 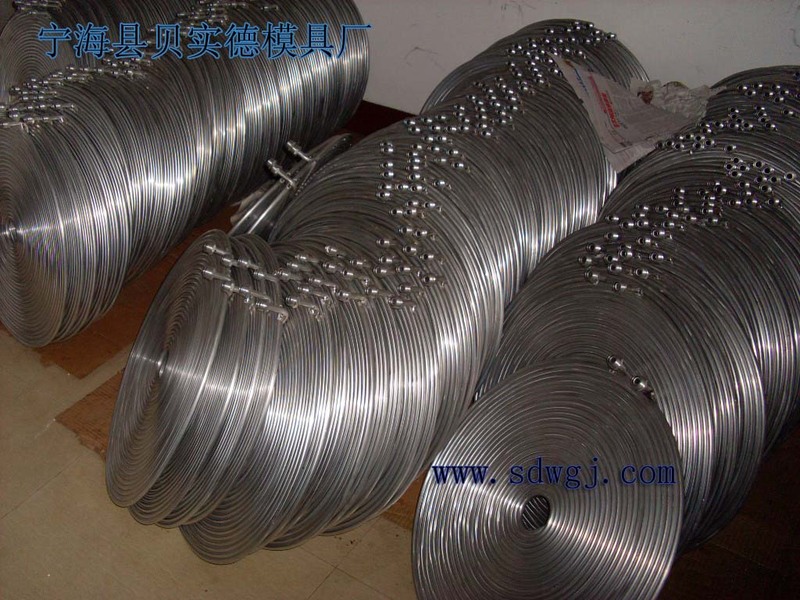 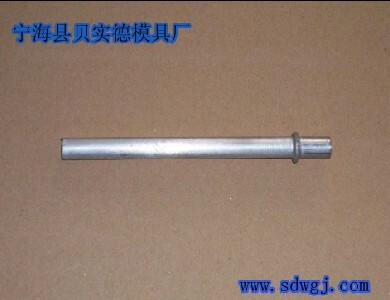 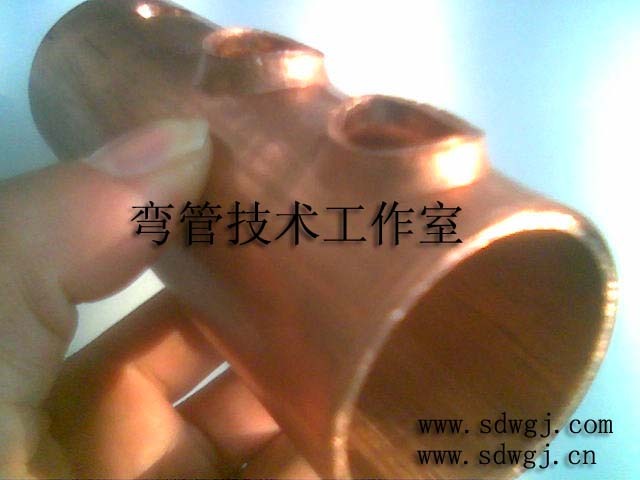 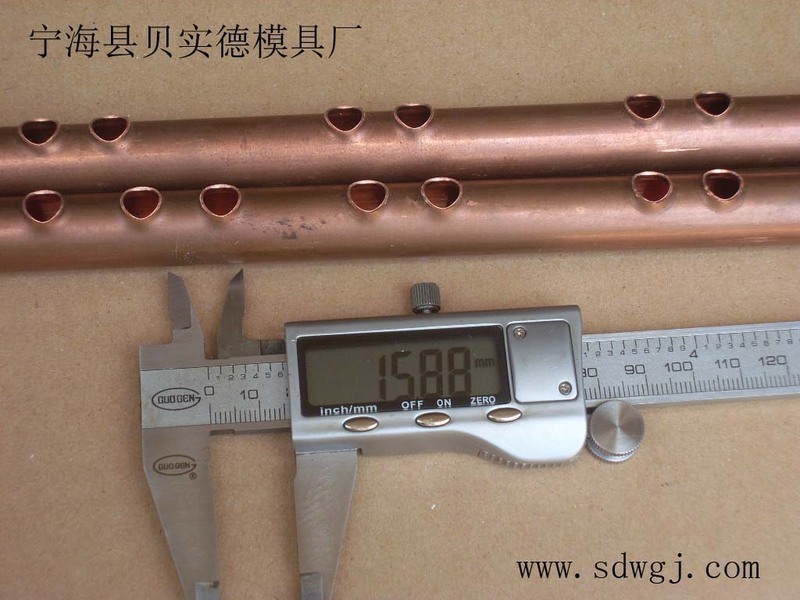 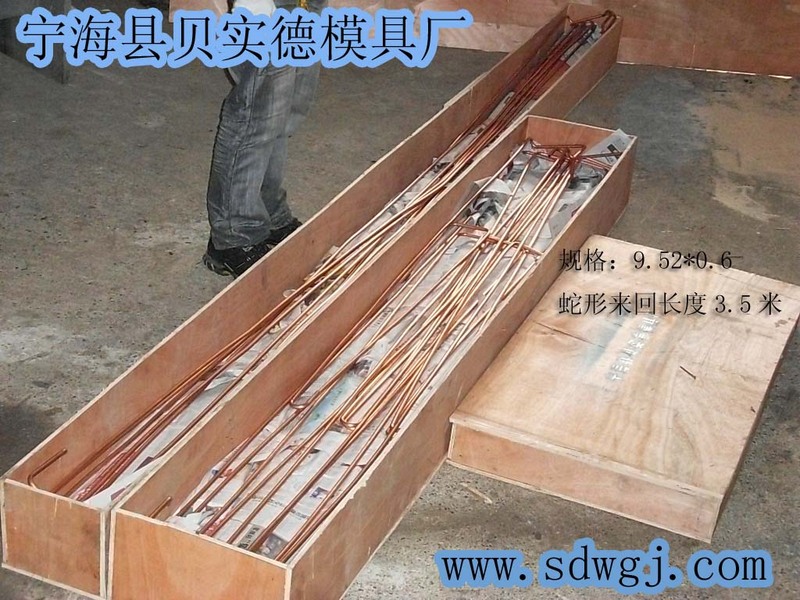 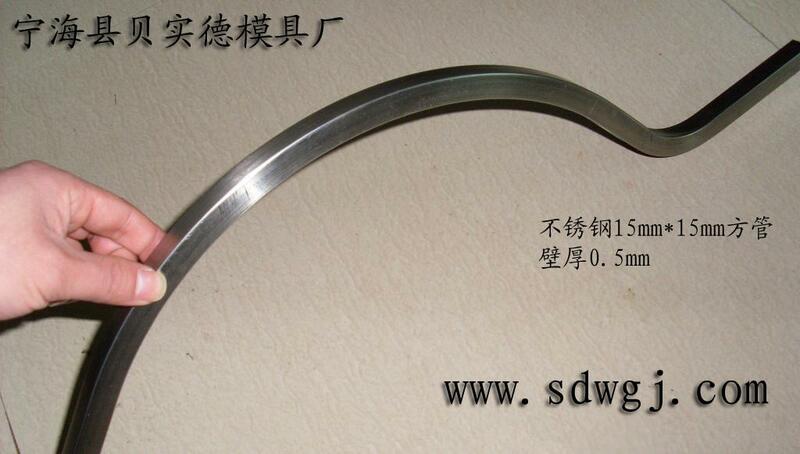 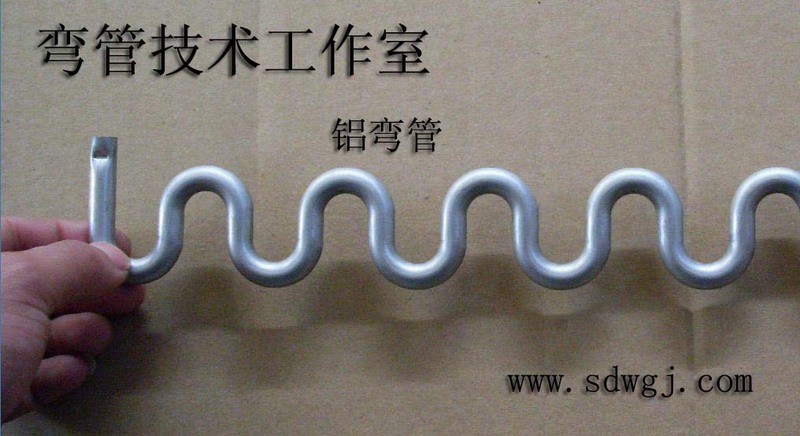 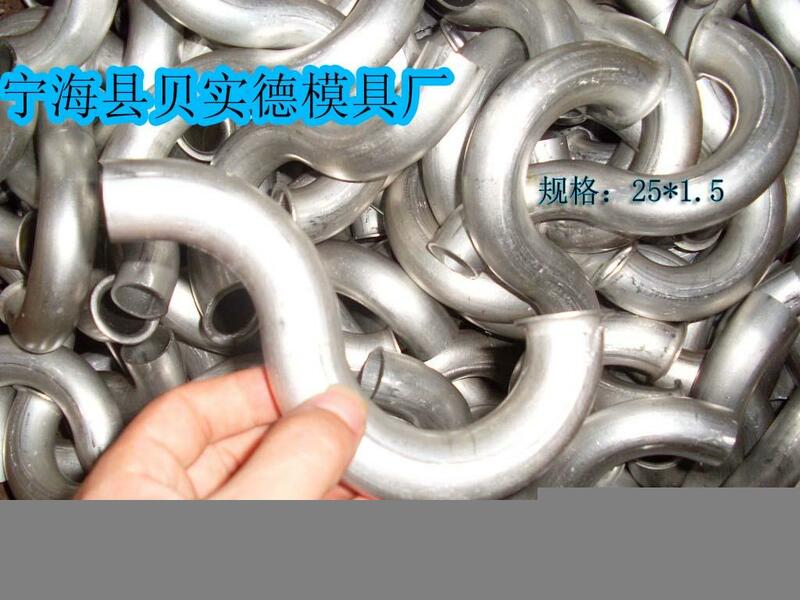 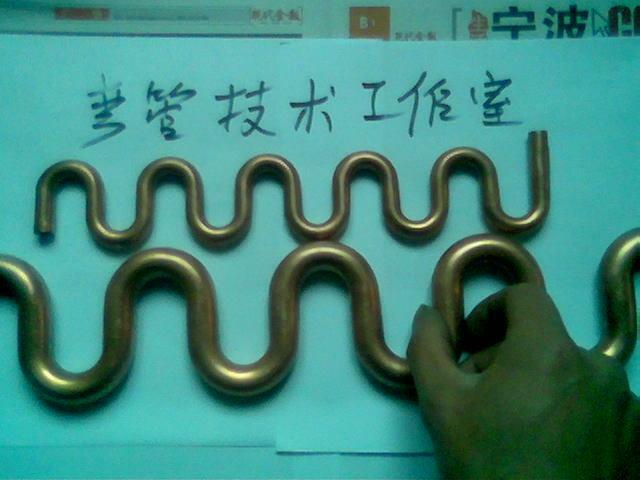 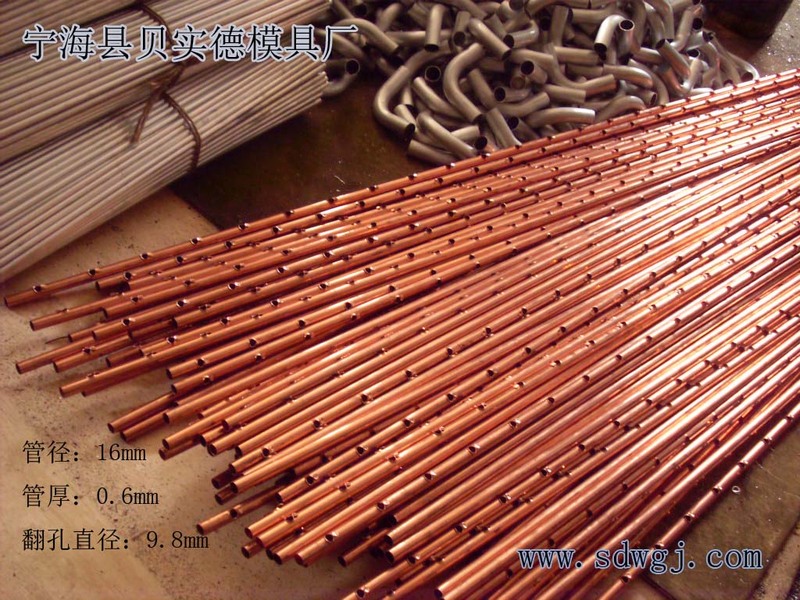 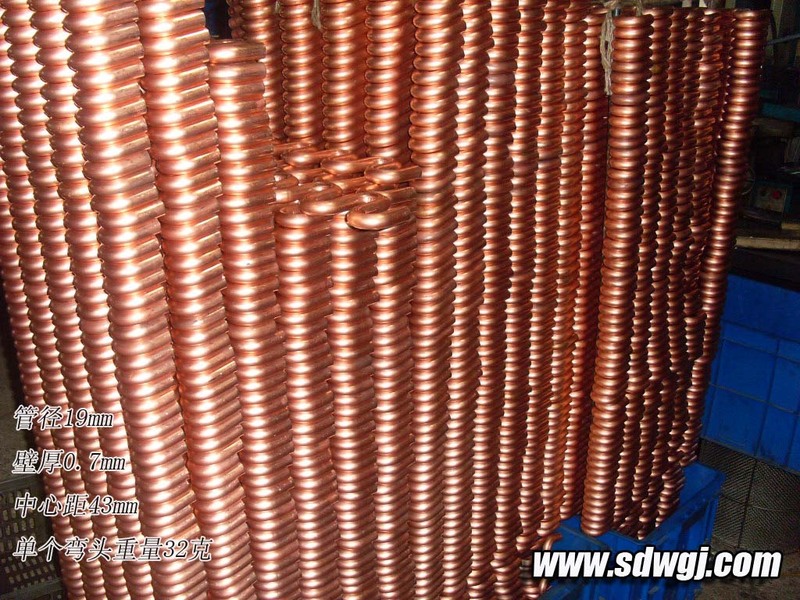 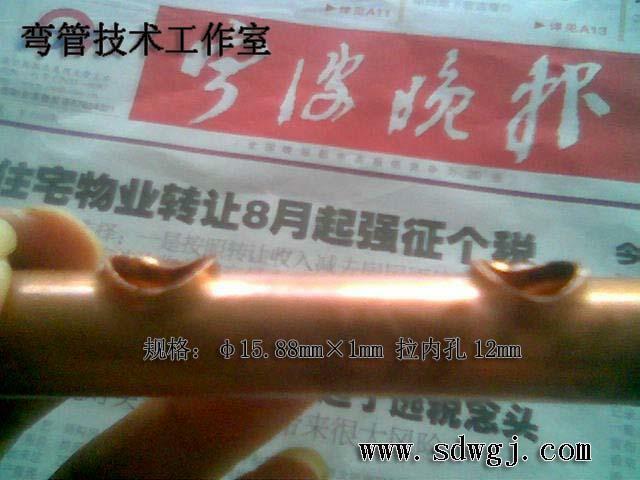 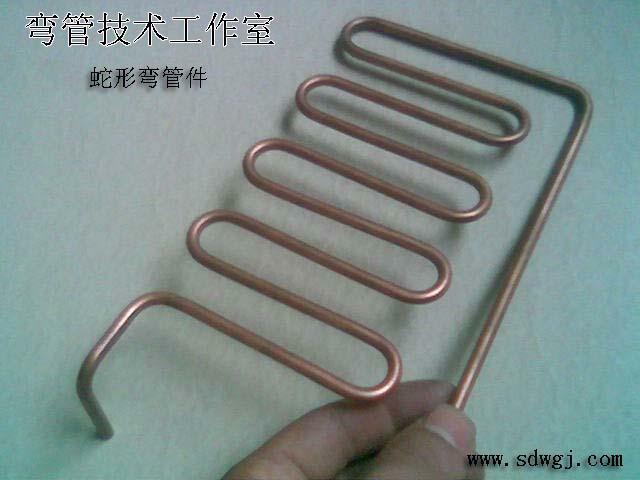 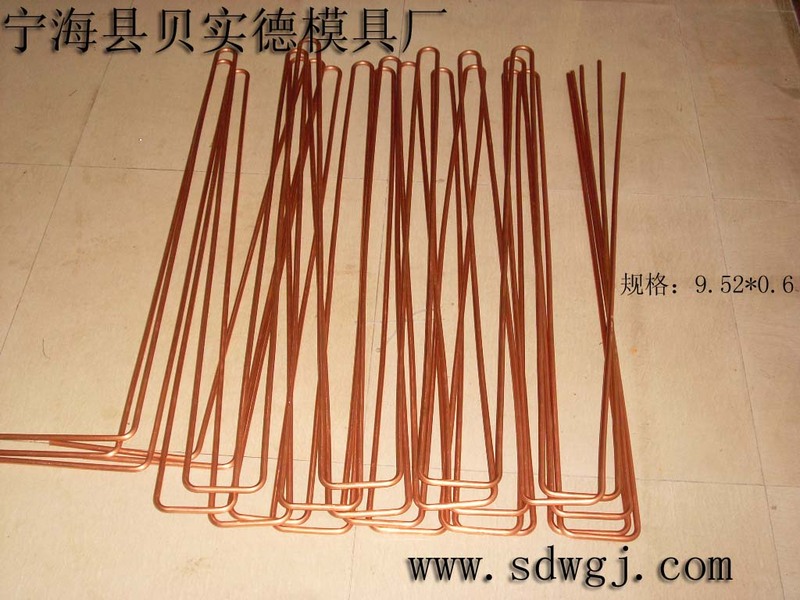 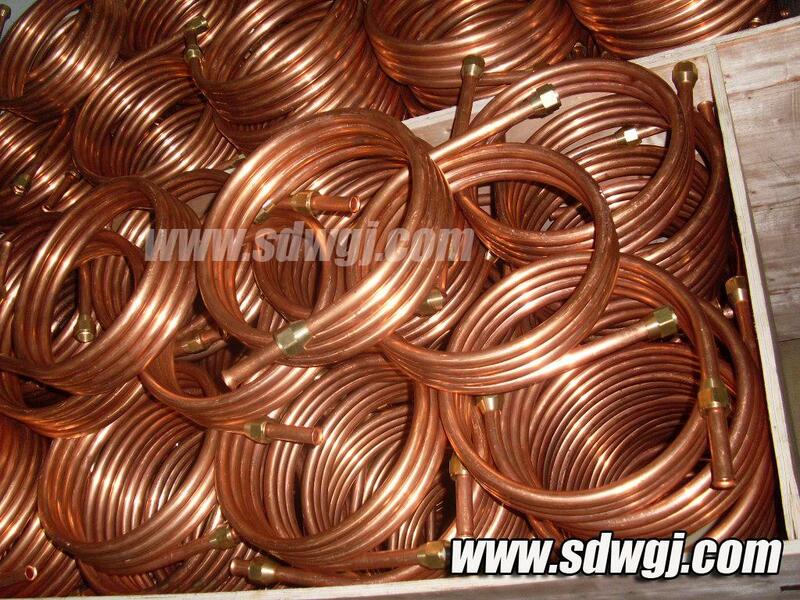 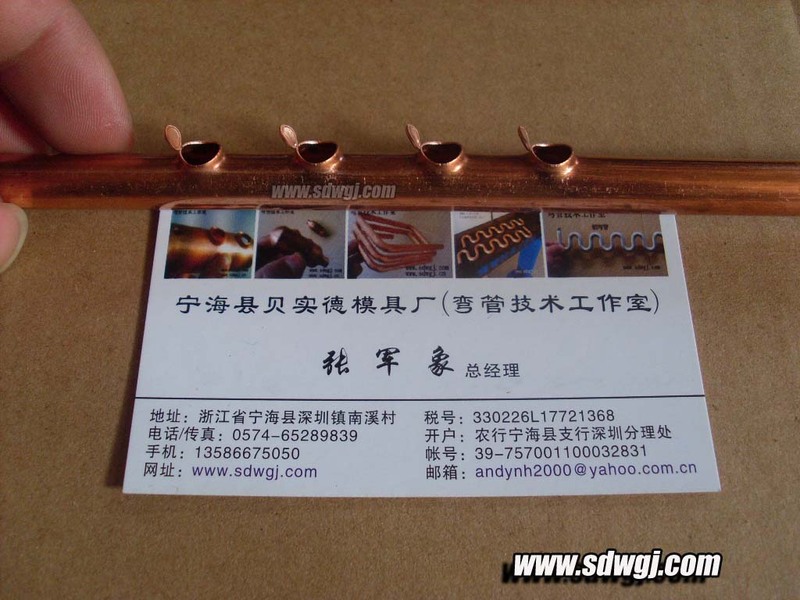 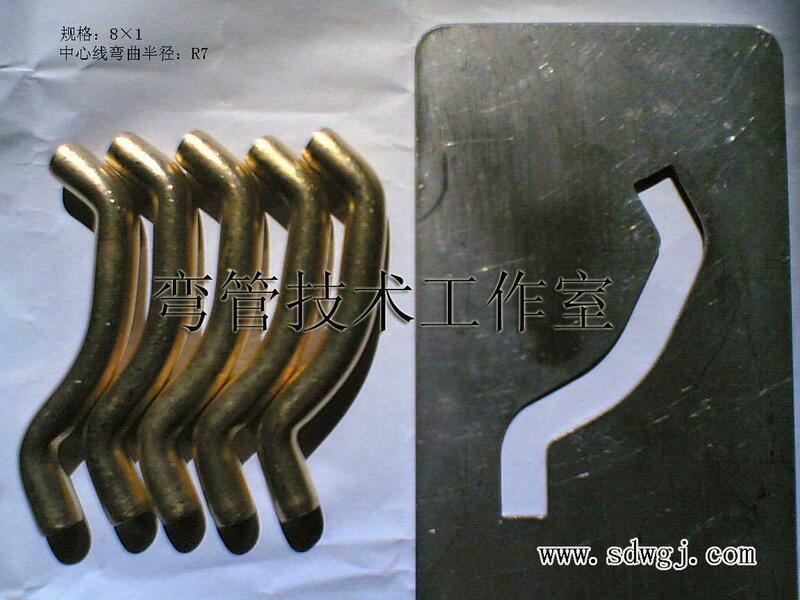 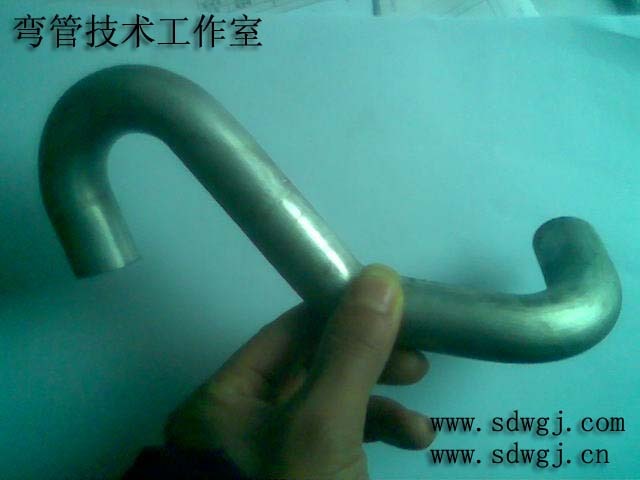 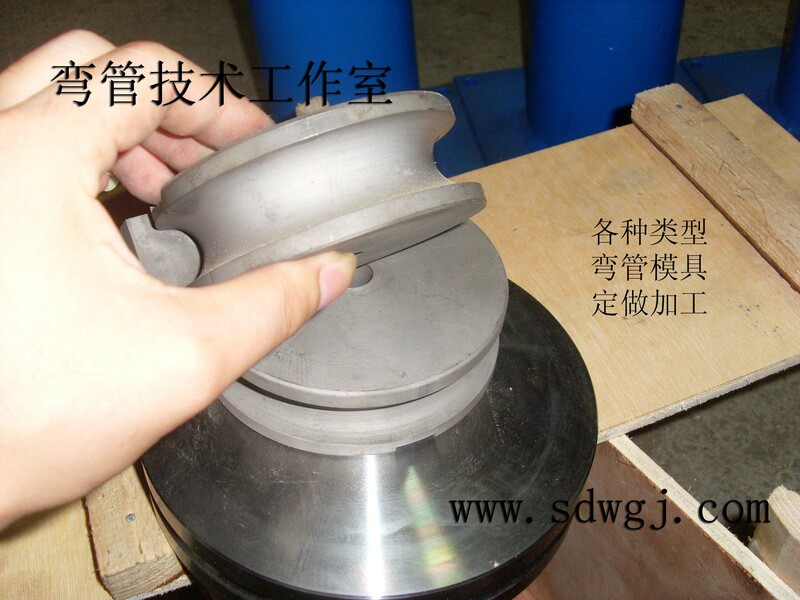 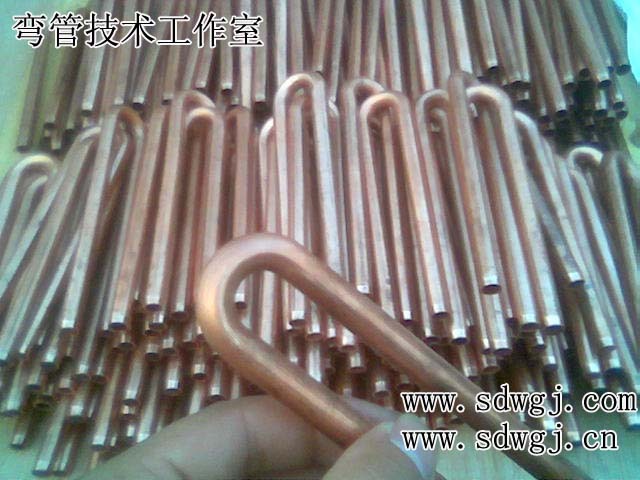 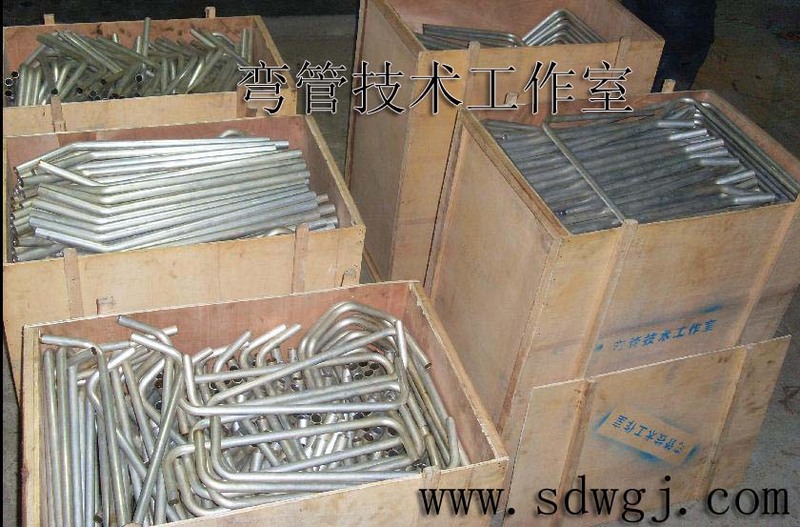 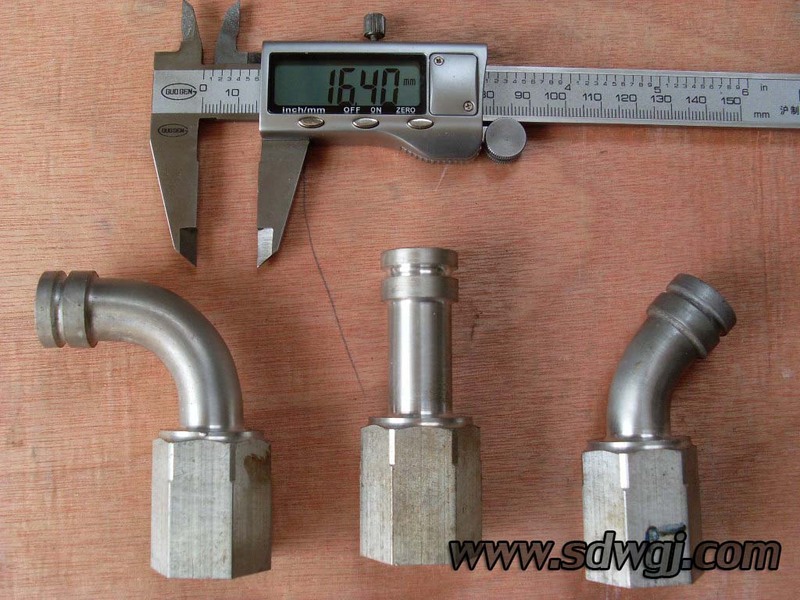 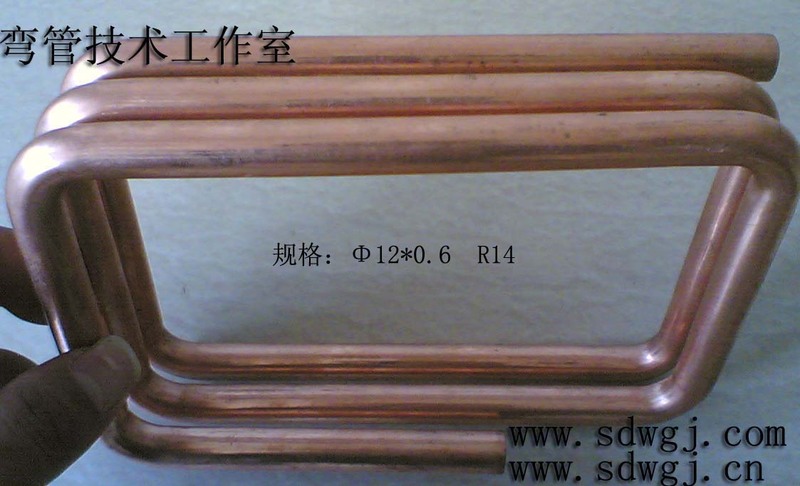 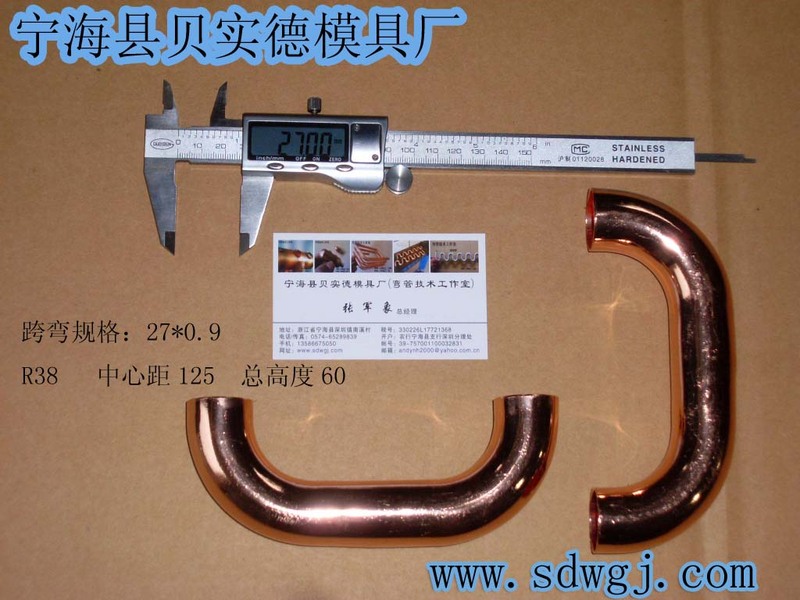 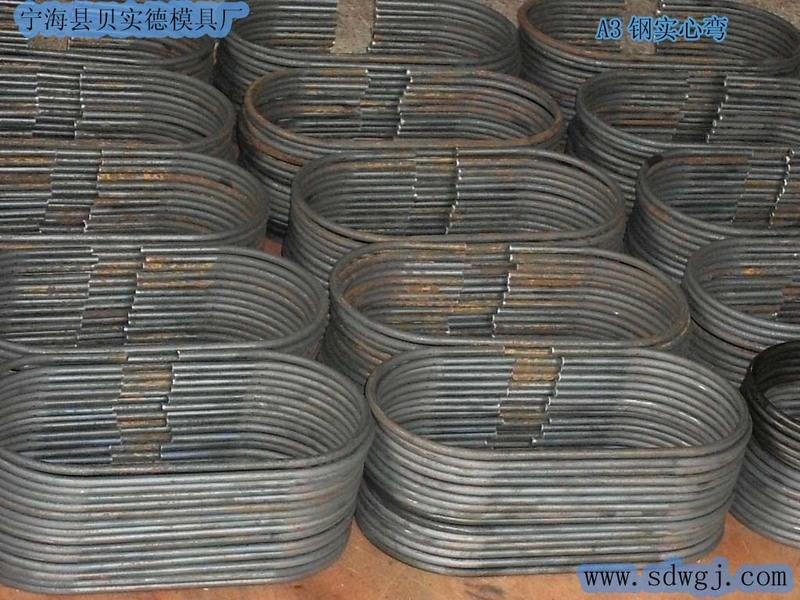 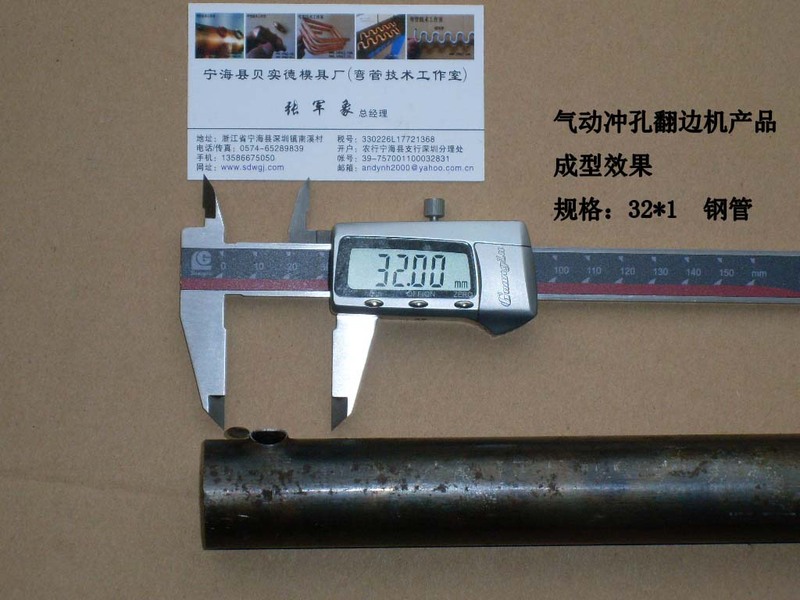 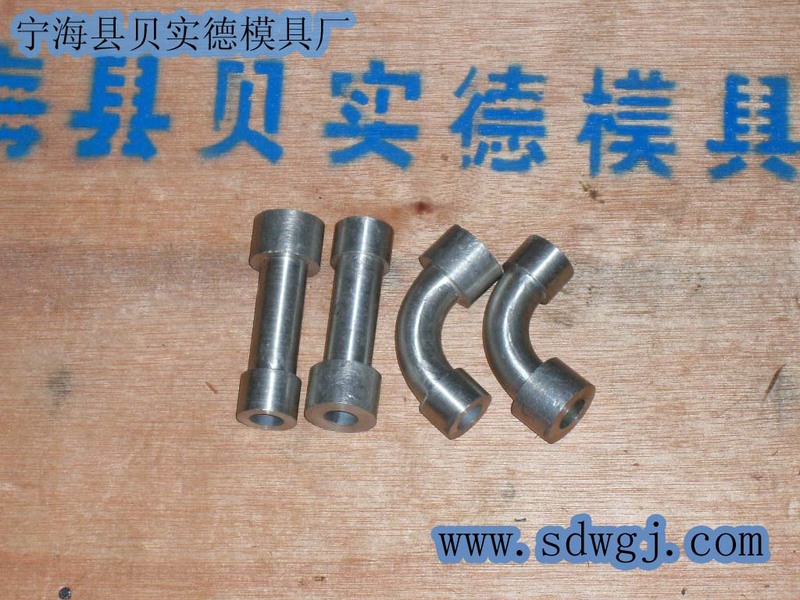 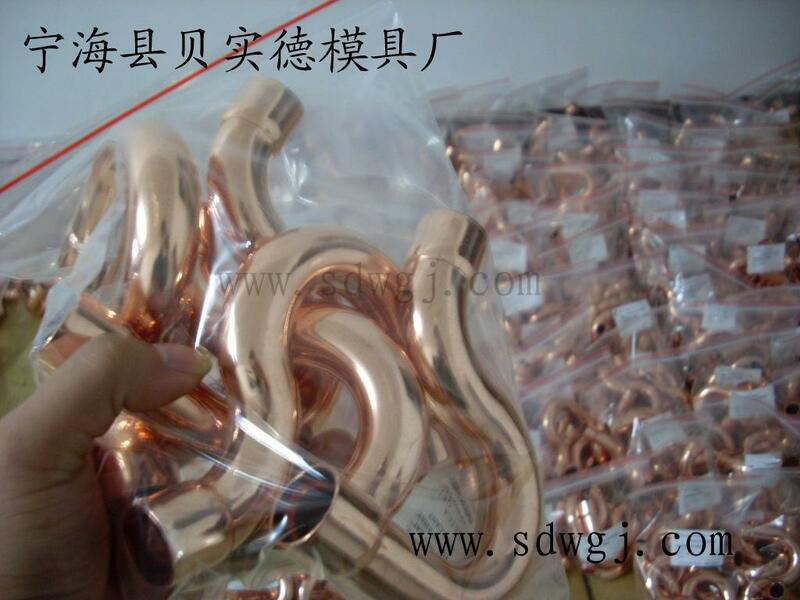 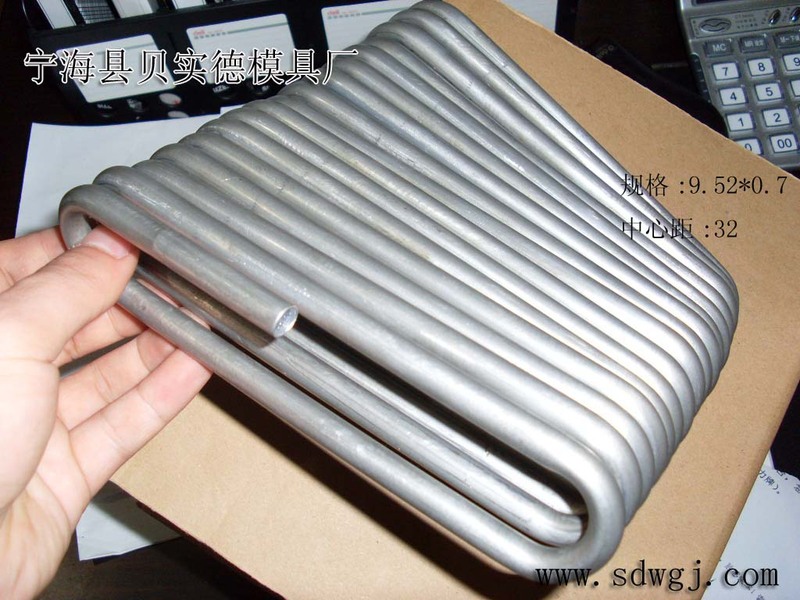 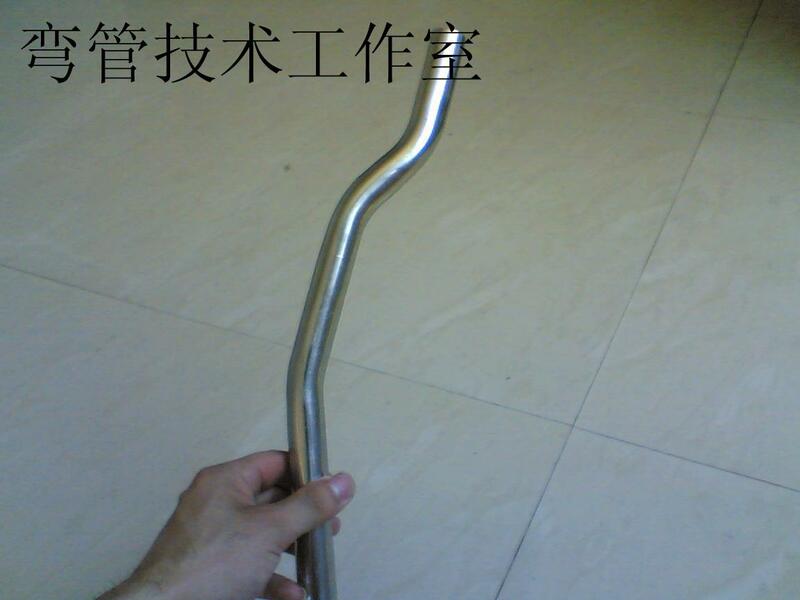 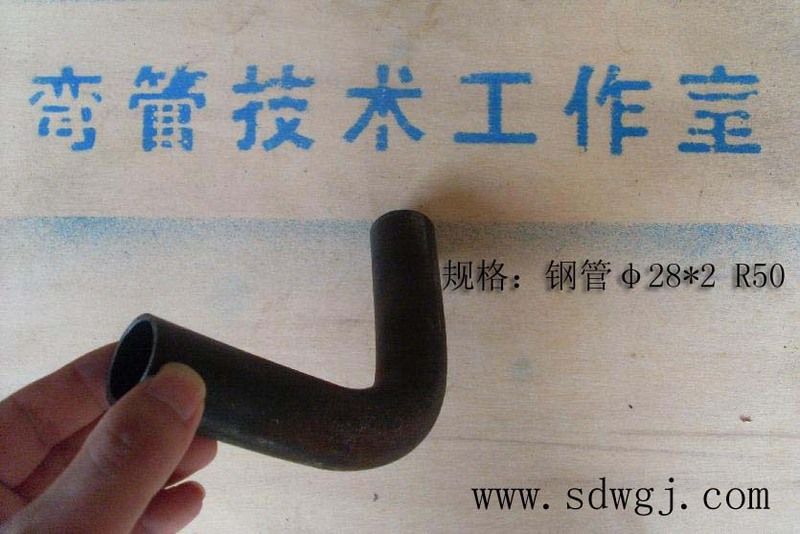 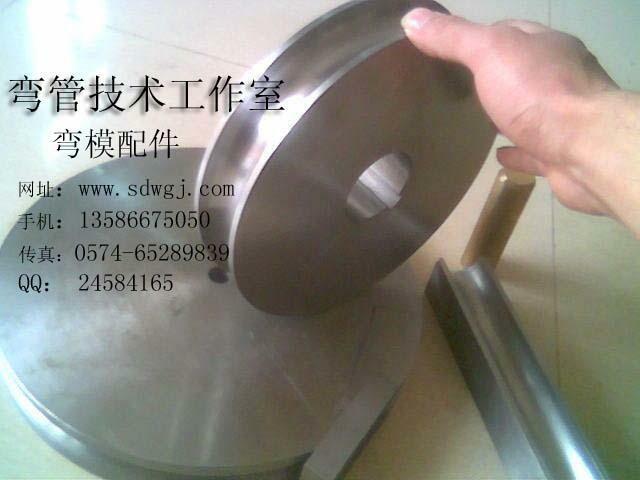 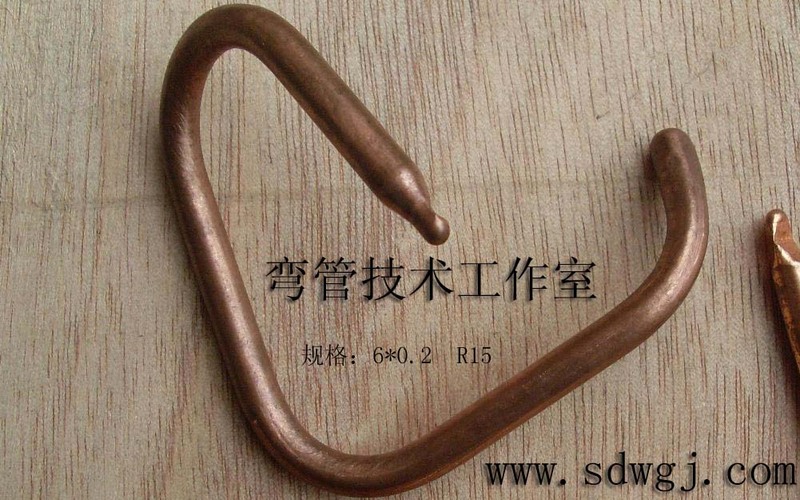 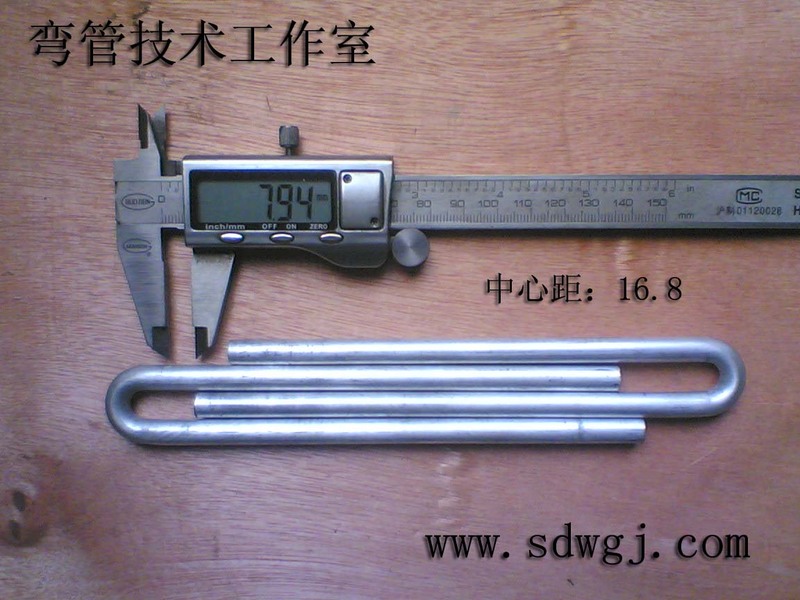 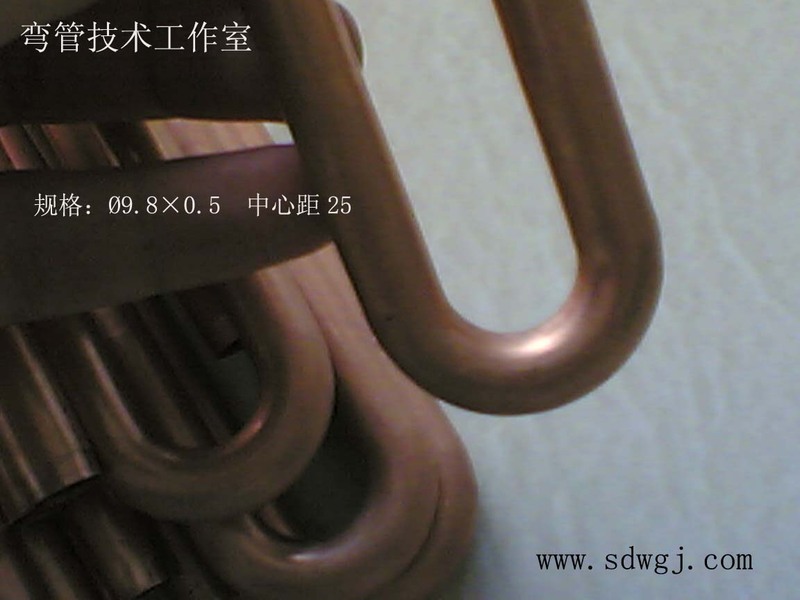 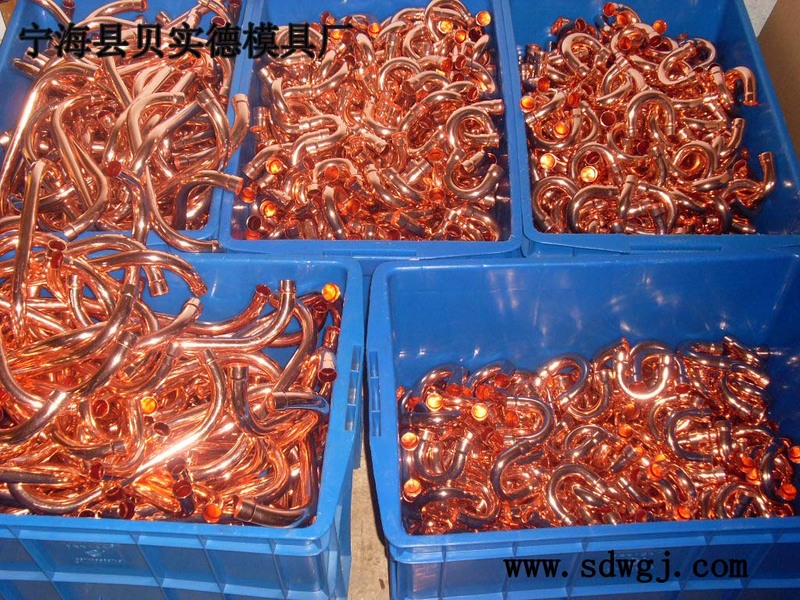 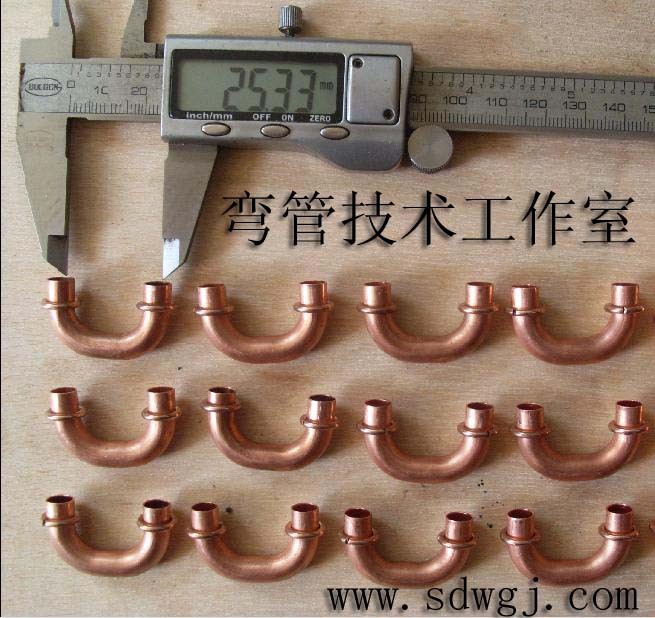 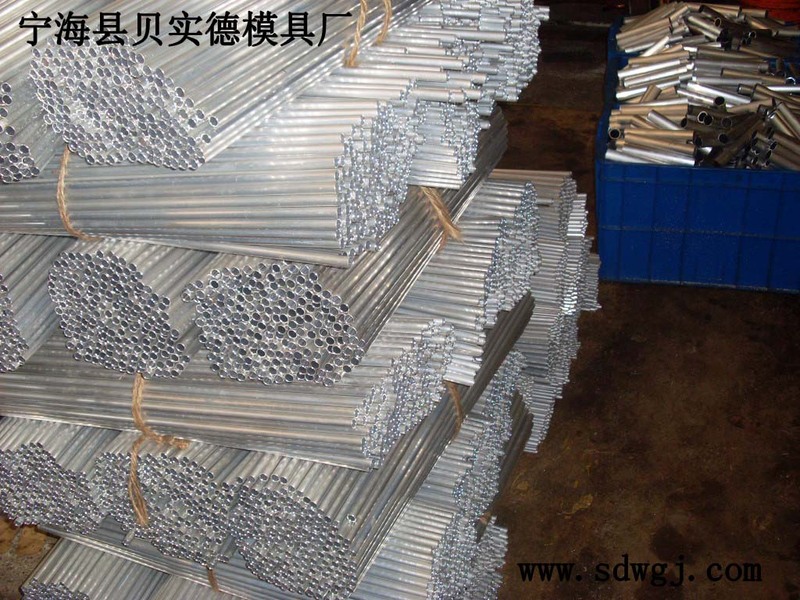 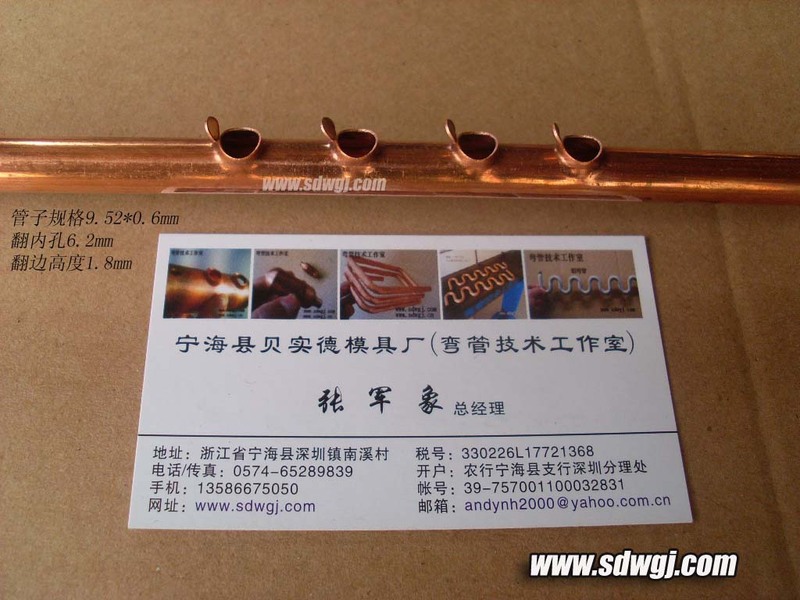 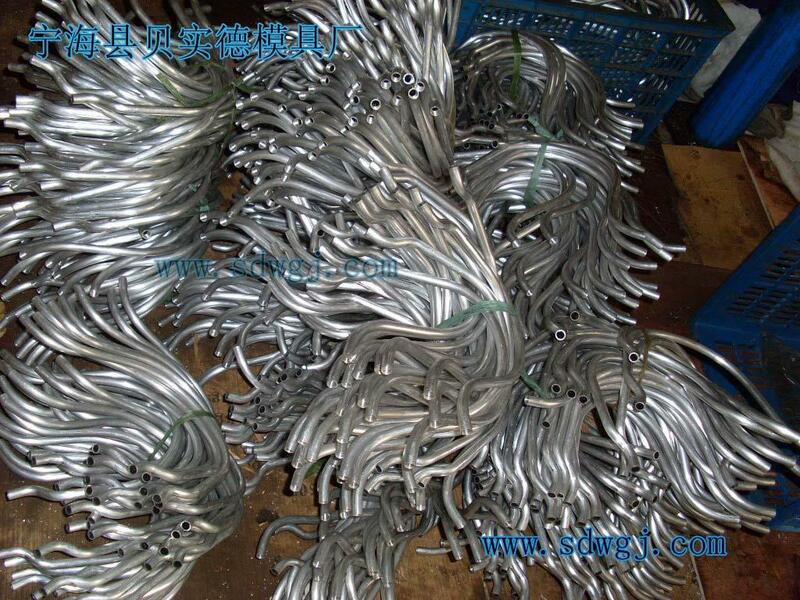 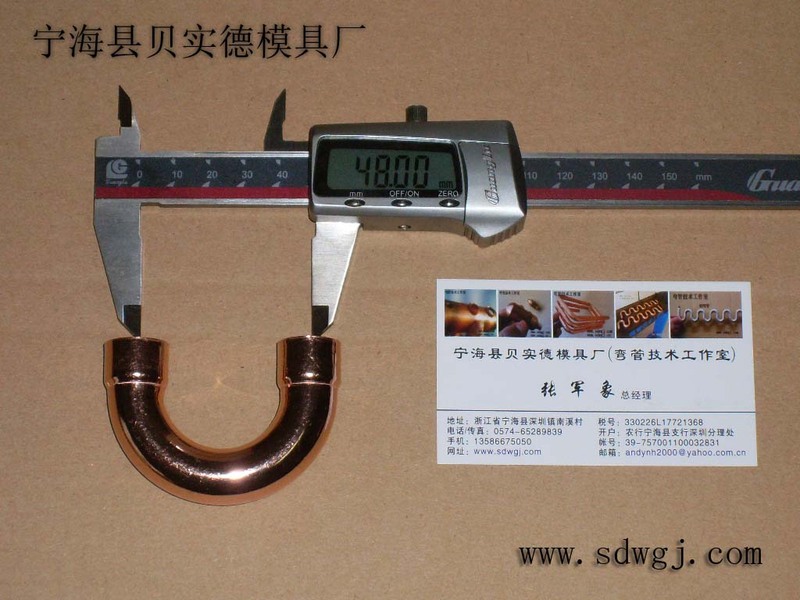 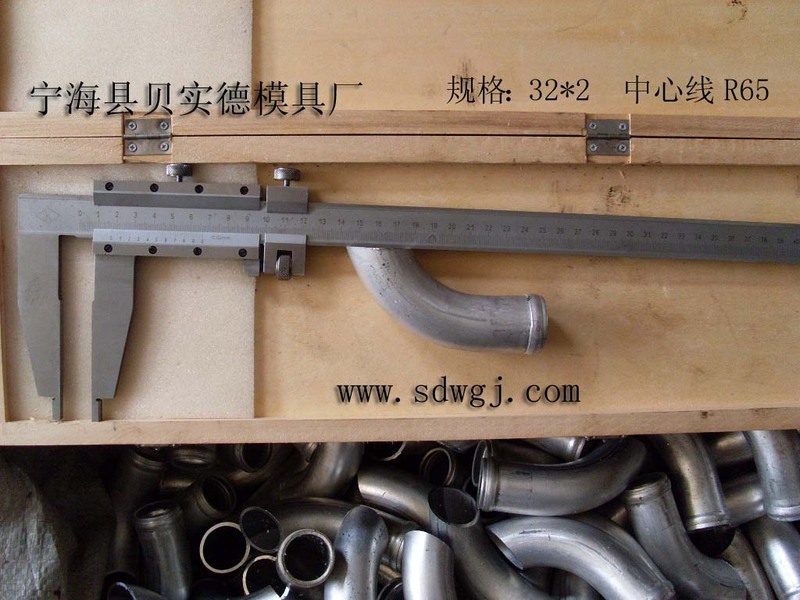 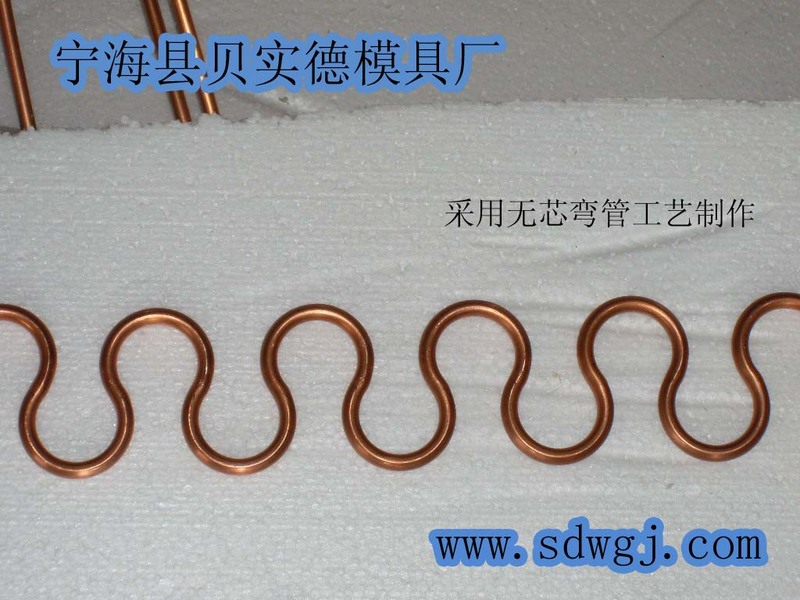 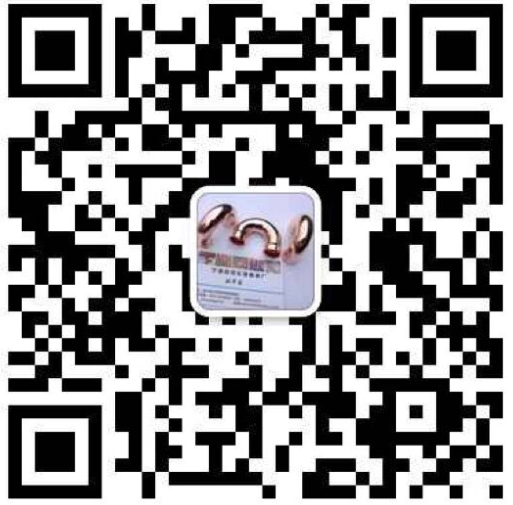 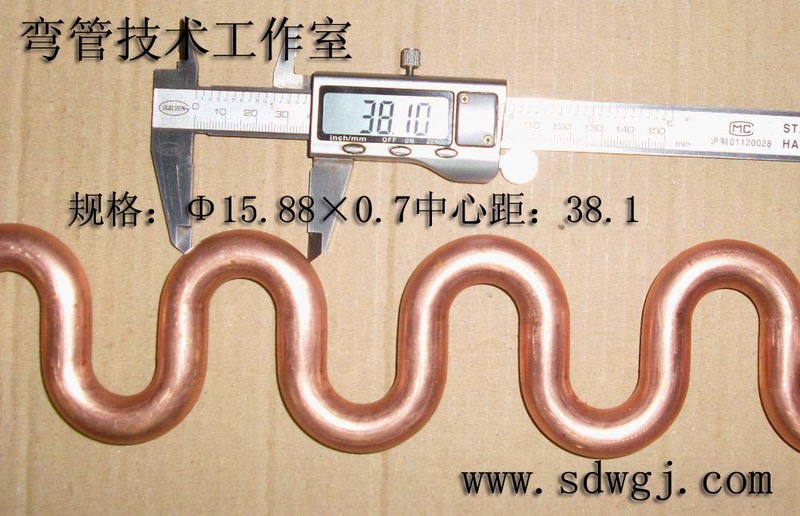 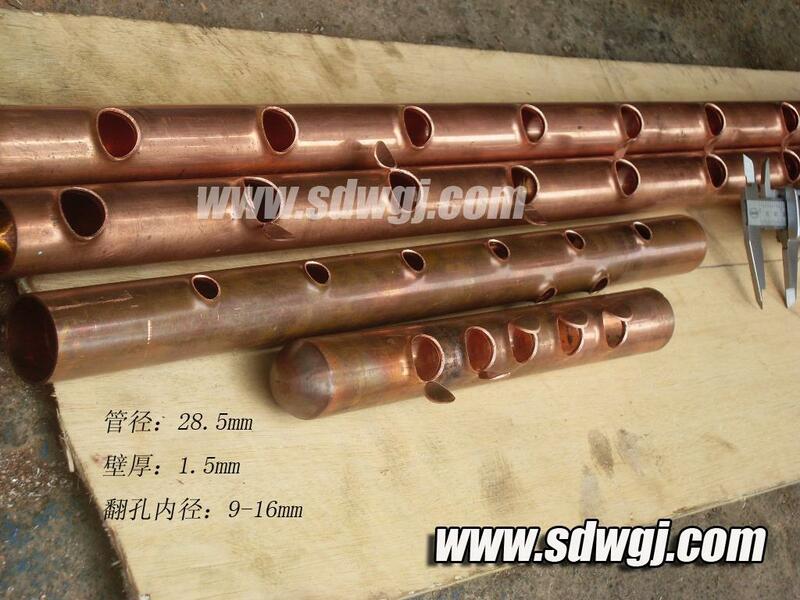 (Photo right evaporator product specifications for 8*0.5 bend R10)Drive Dies at 59:00 - or side - such as pipe length of the punch has exceeded the limited itinerary, Side-choice, side-efficient means of production is lower than the criticism. 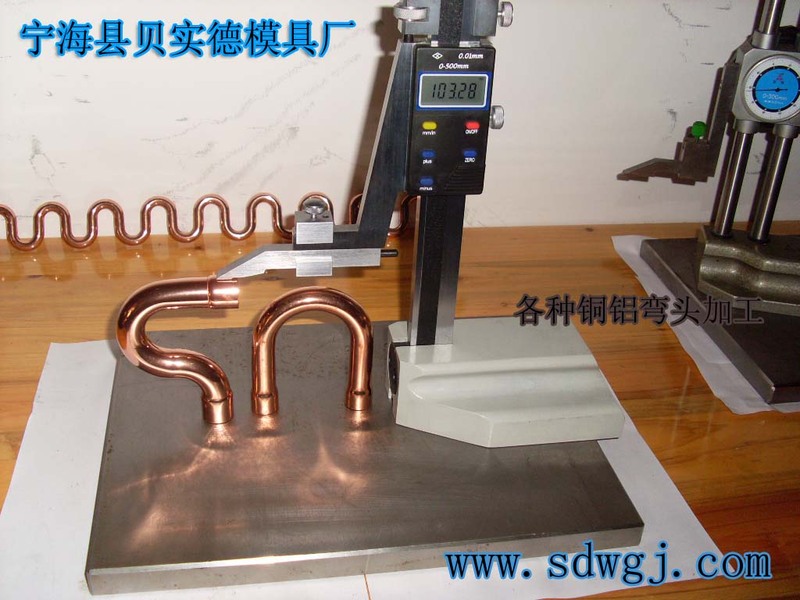 The studios of the various materials -- Path die quite experienced in controlling the size are independent Road, specifications can be tailor-made to the map. 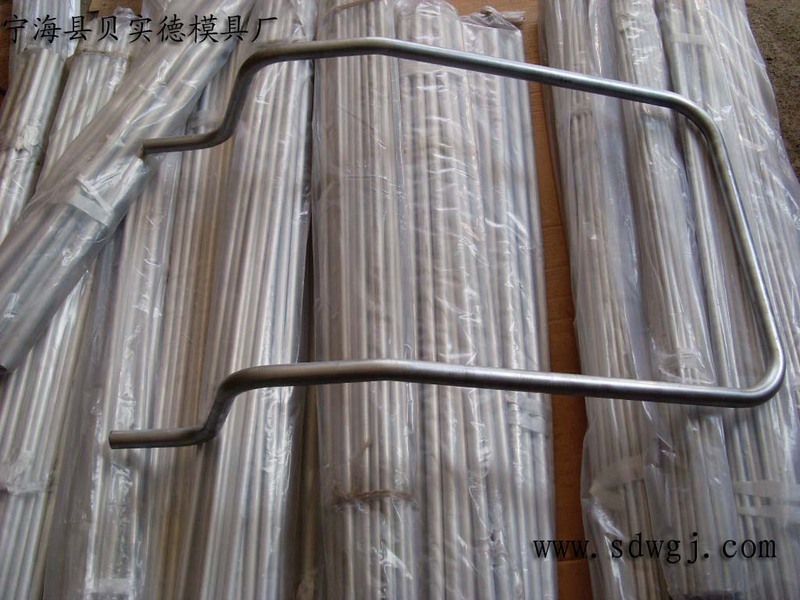 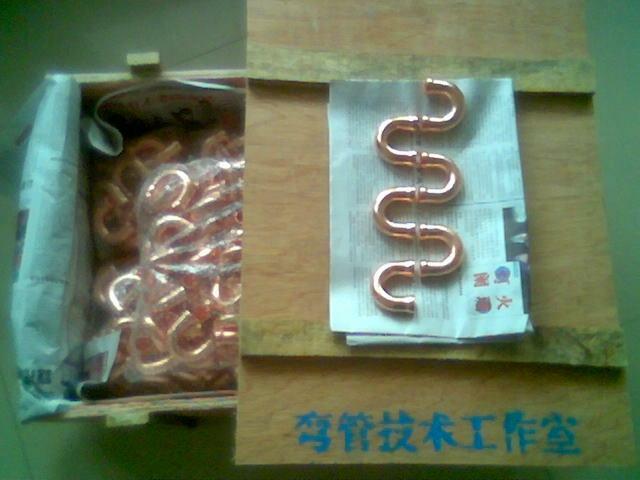 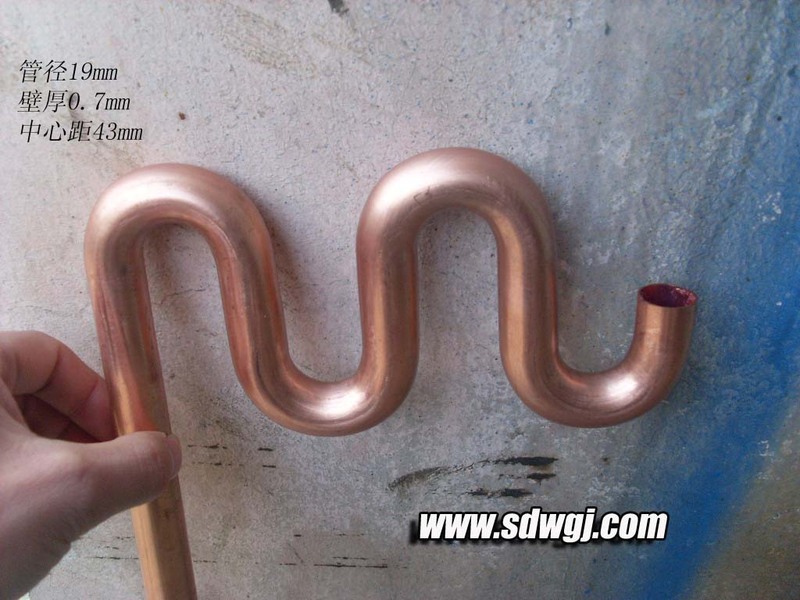 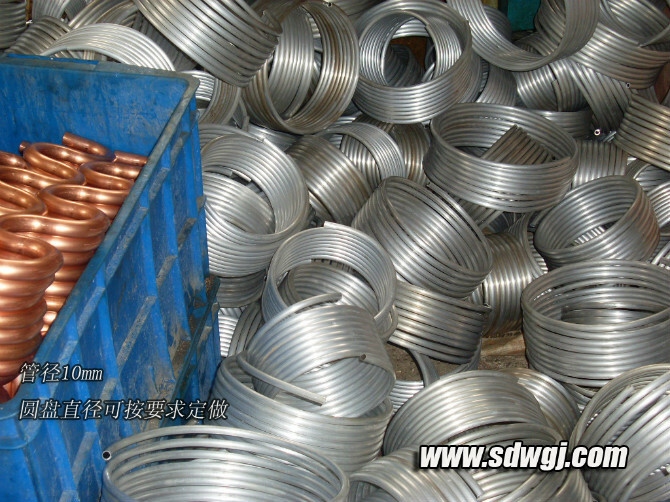 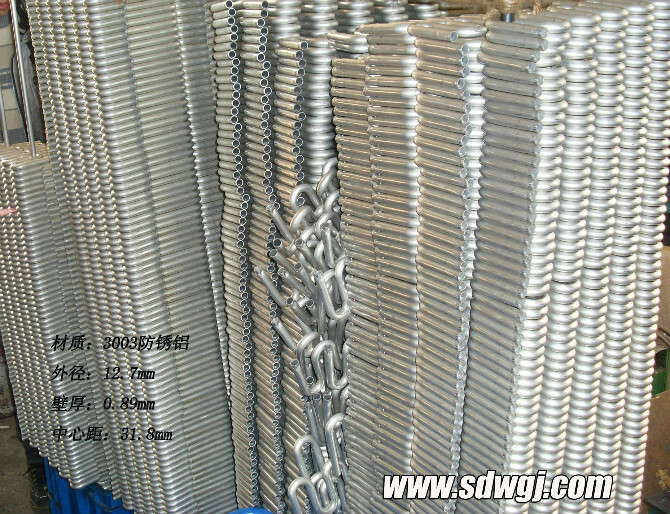 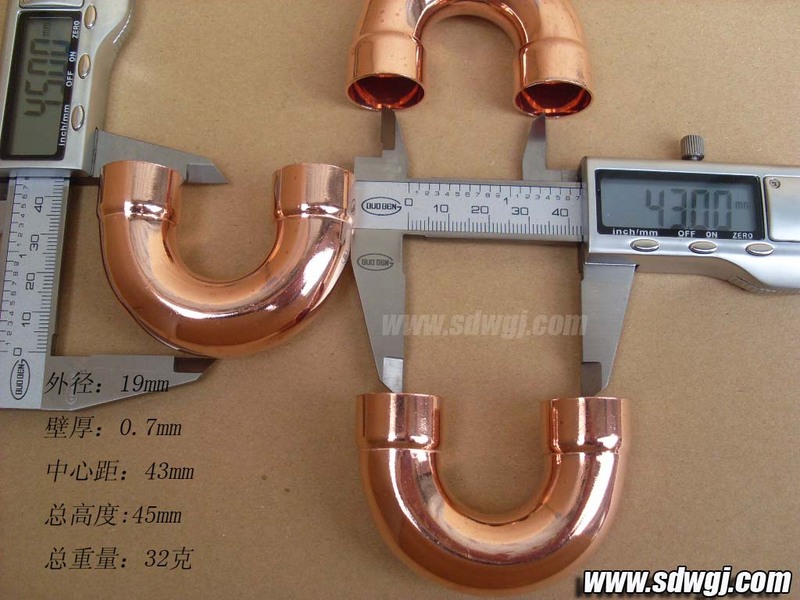 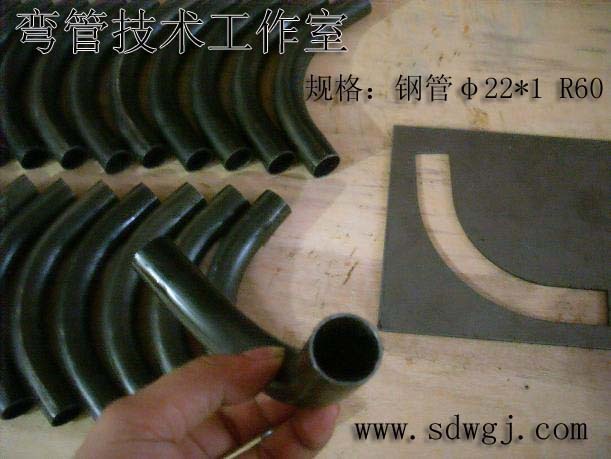 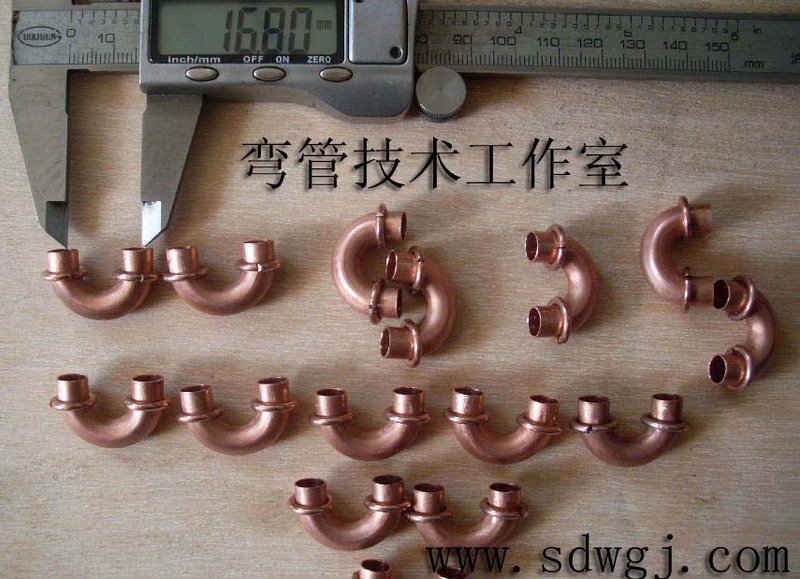 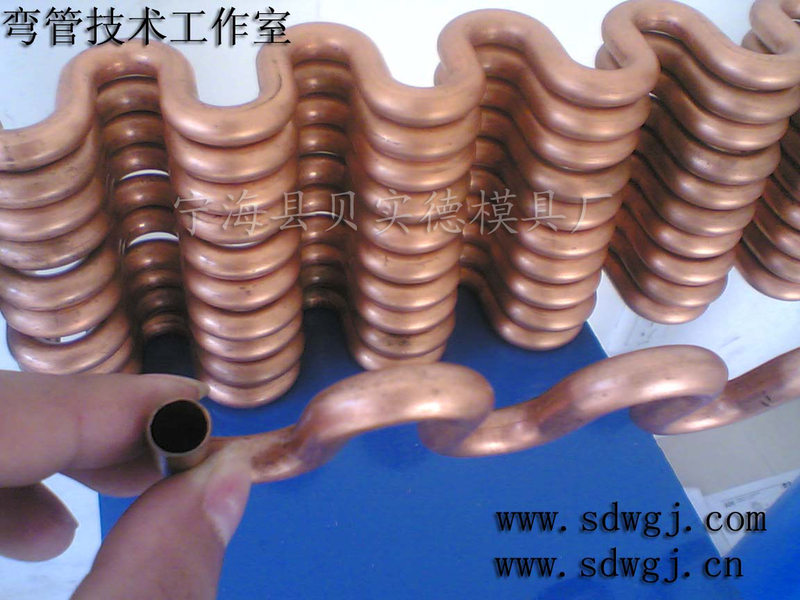 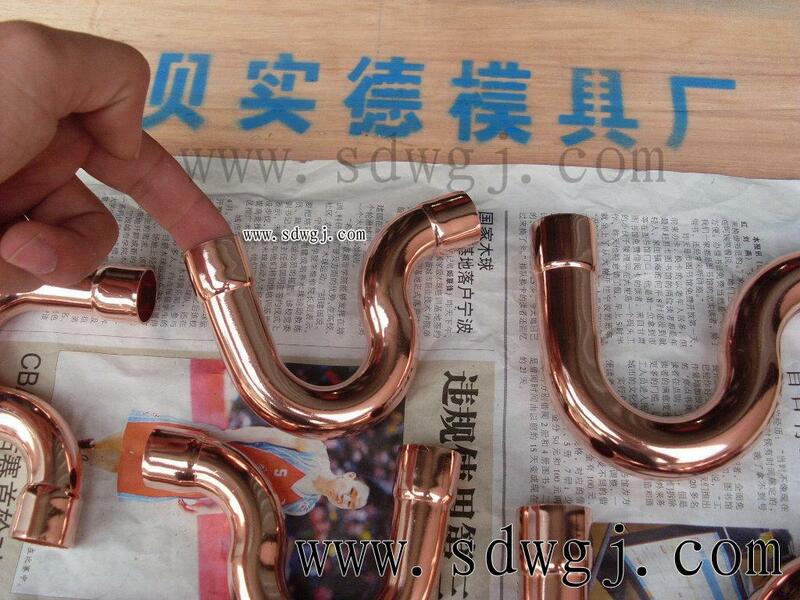 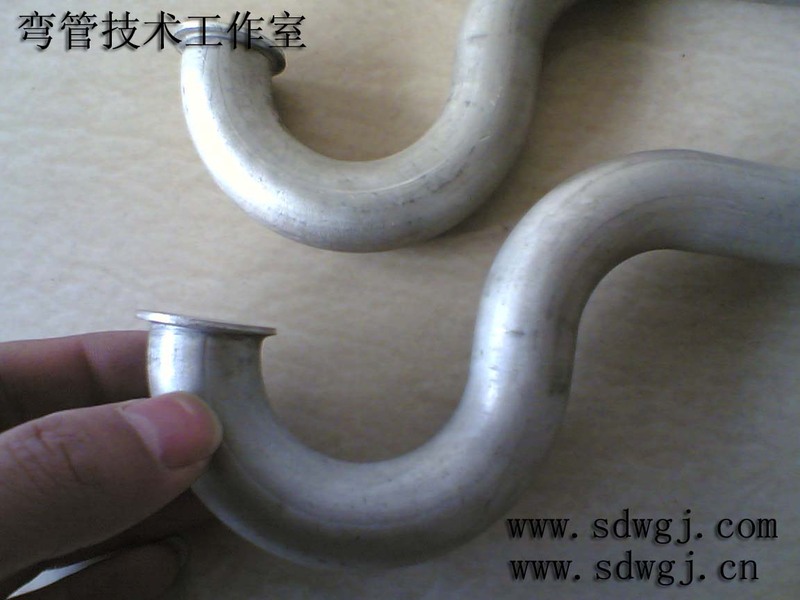 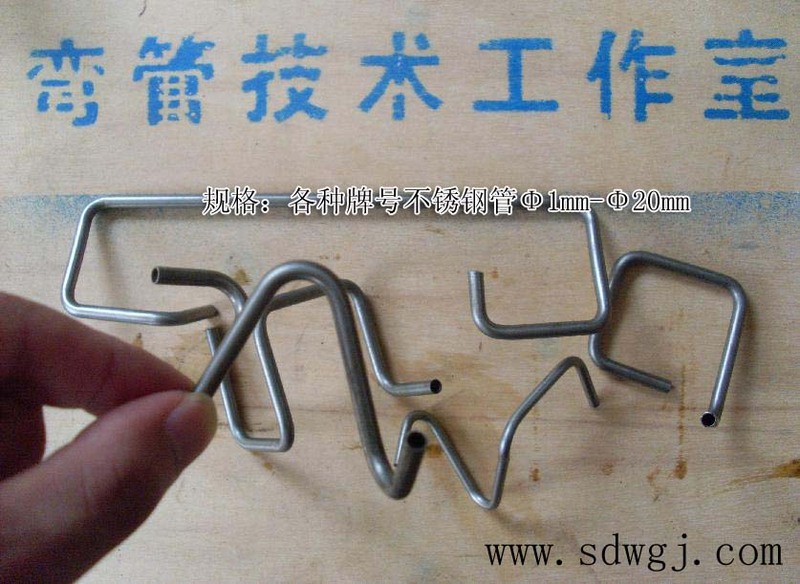 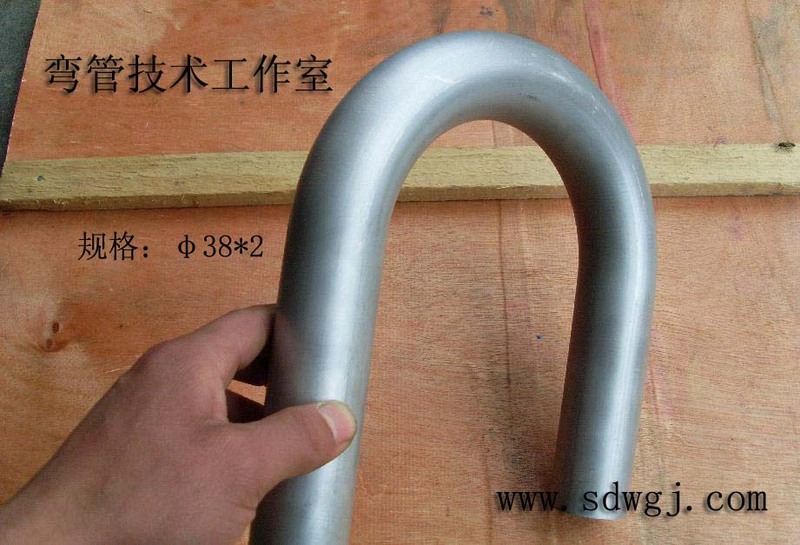 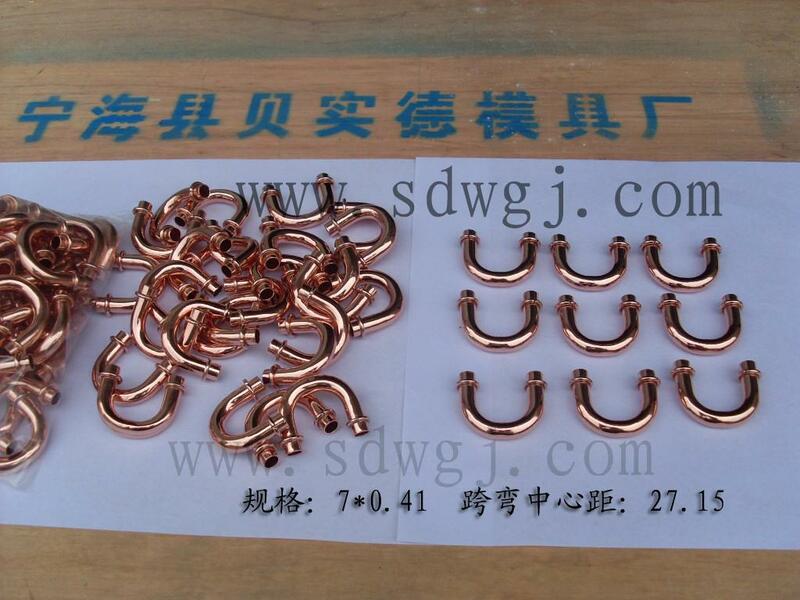 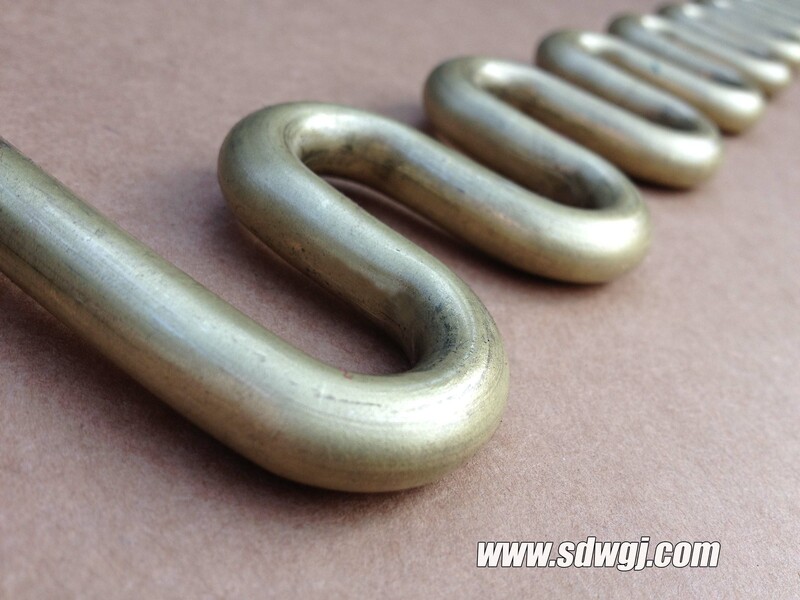 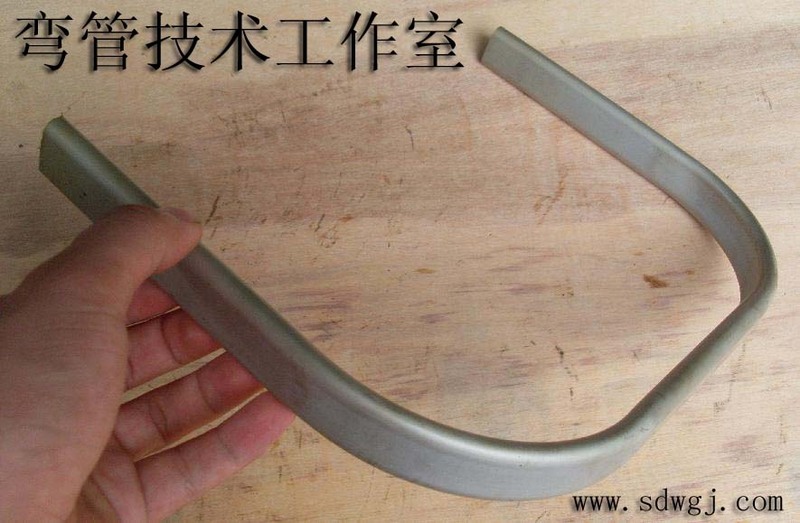 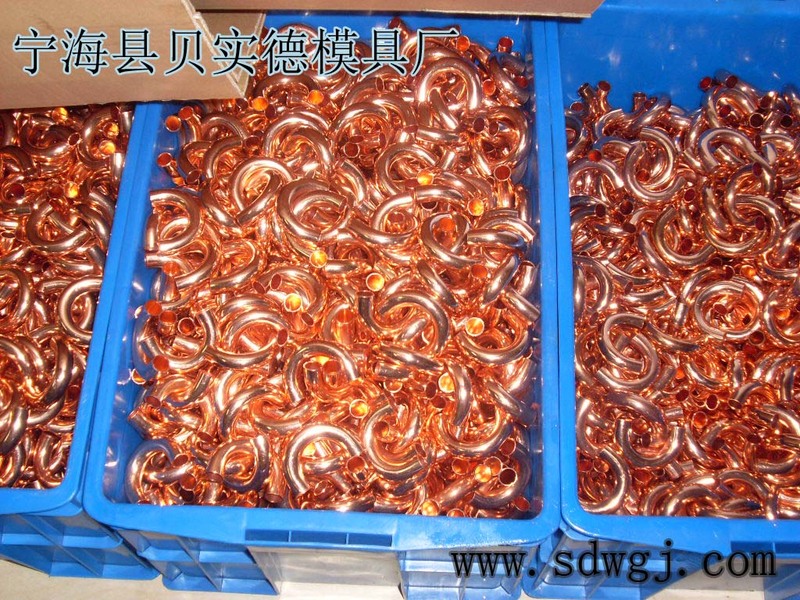 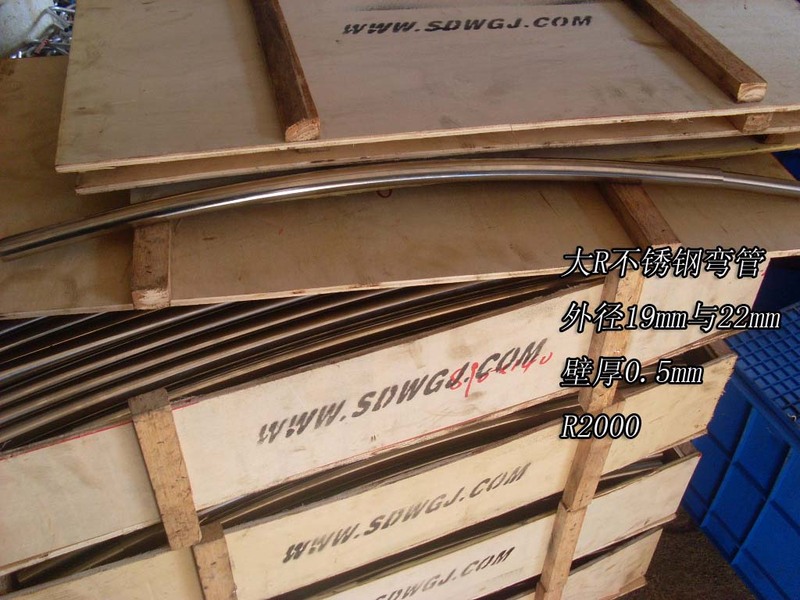 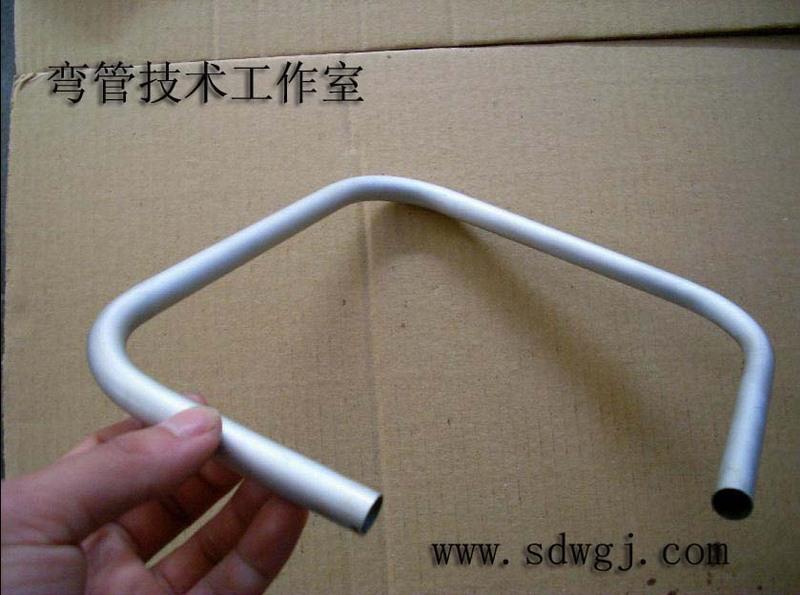 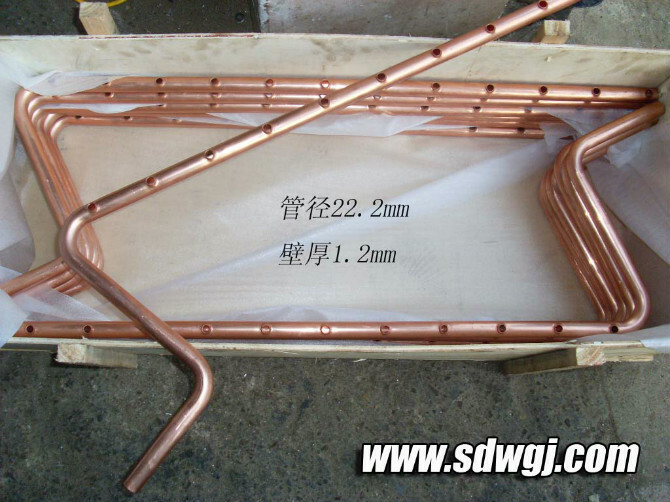 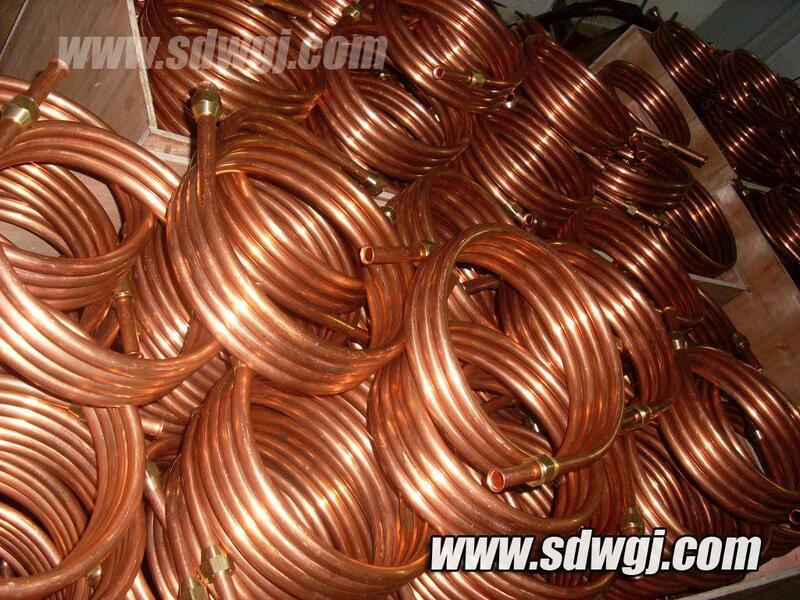 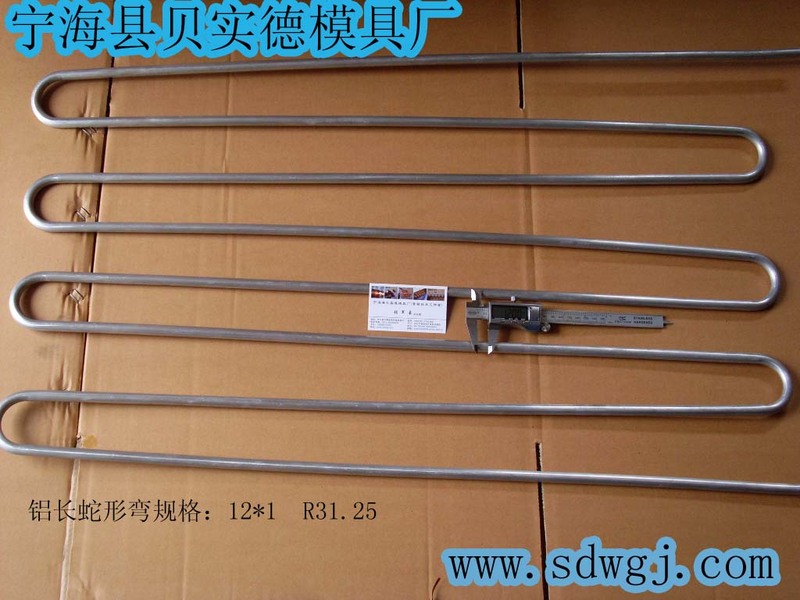 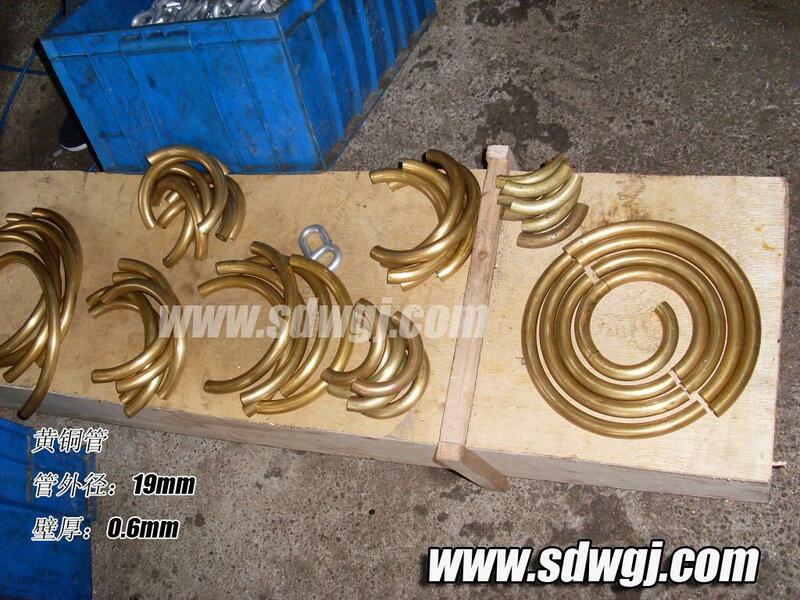 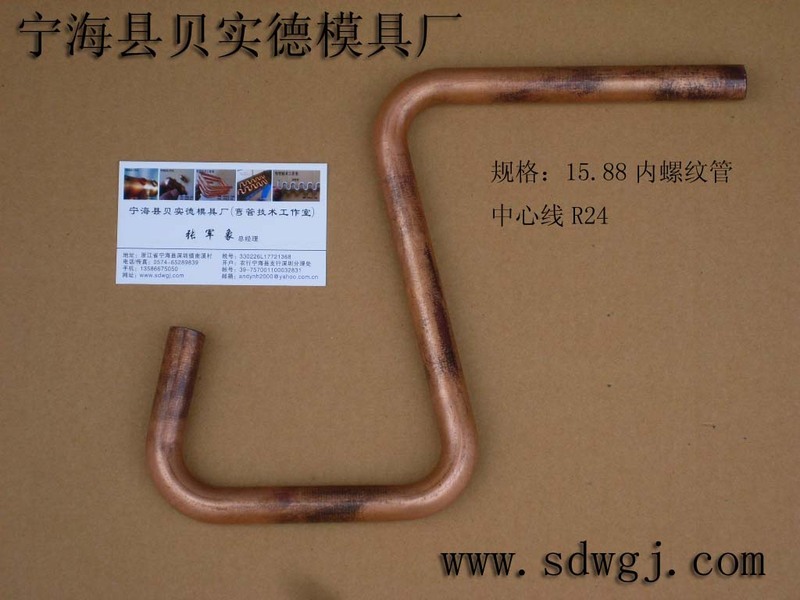 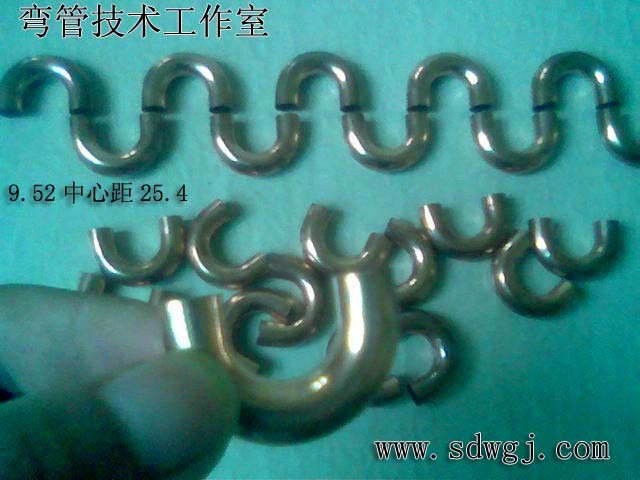 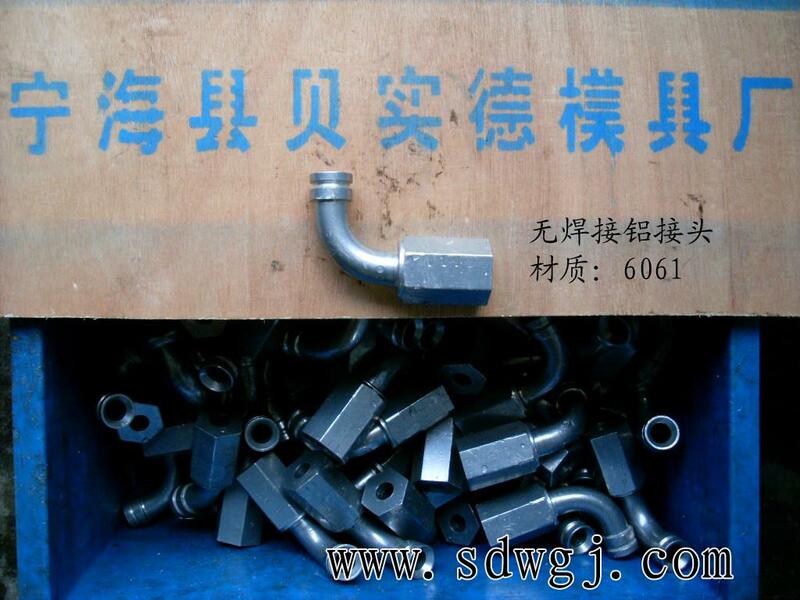 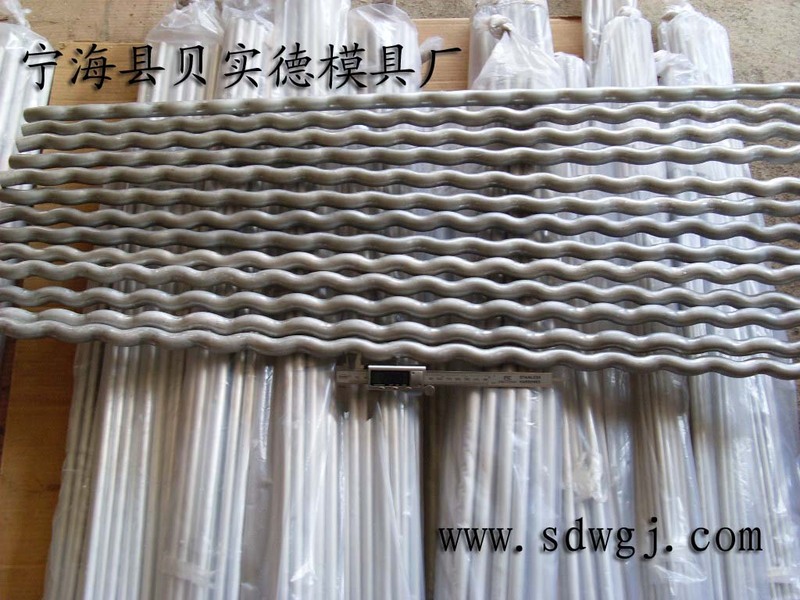 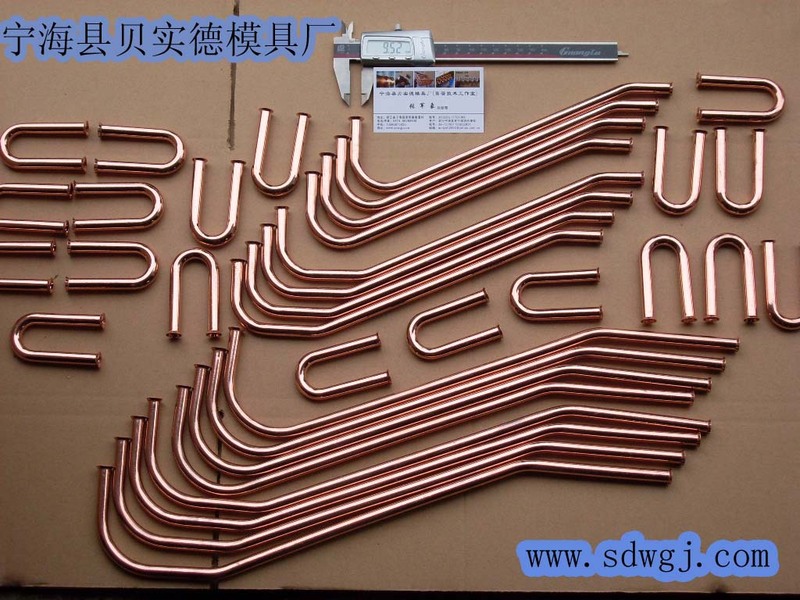 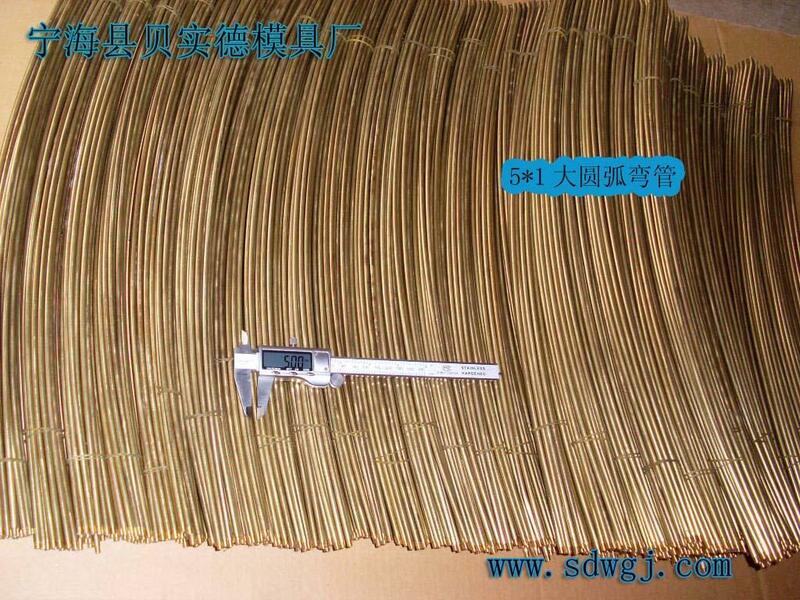 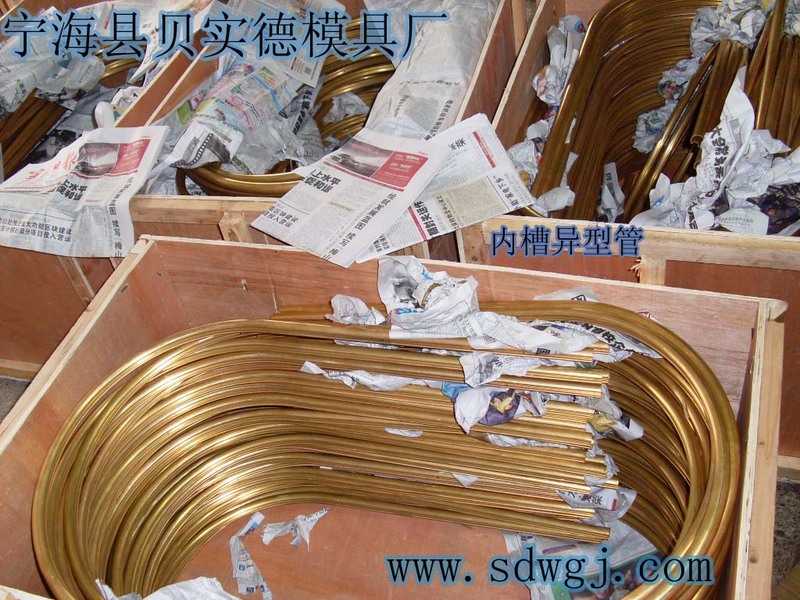 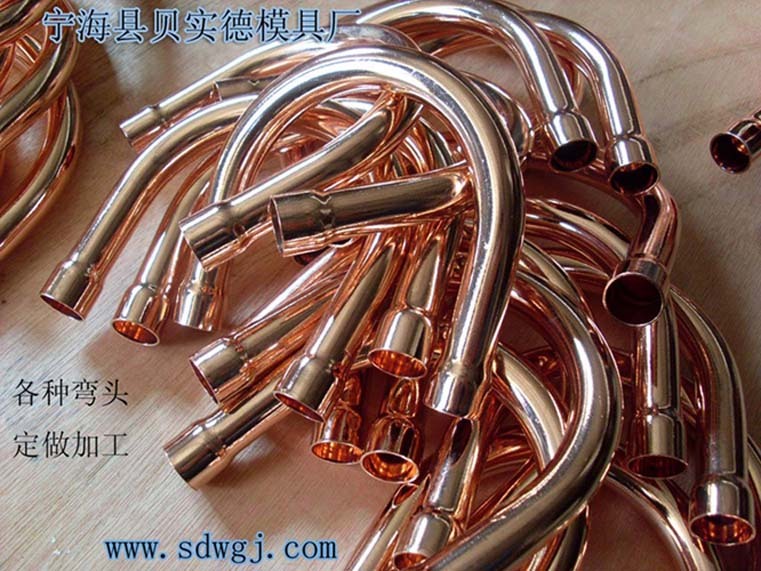 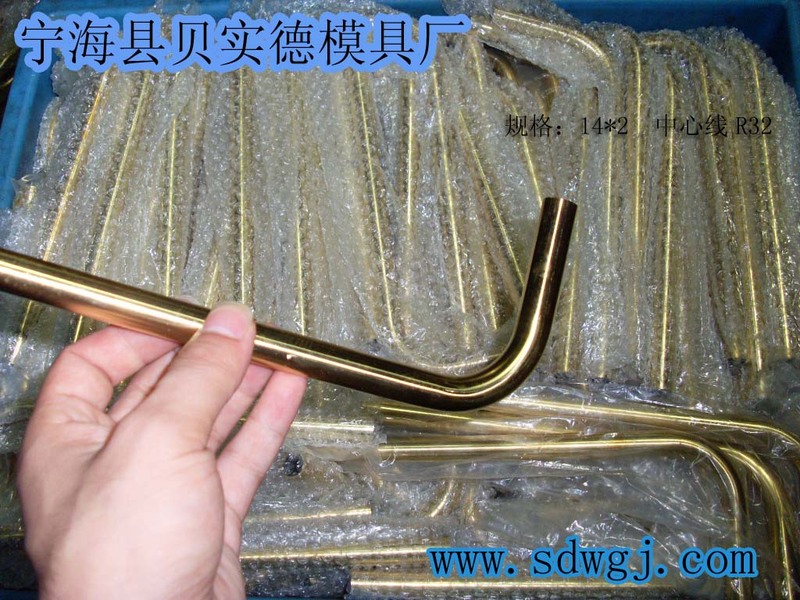 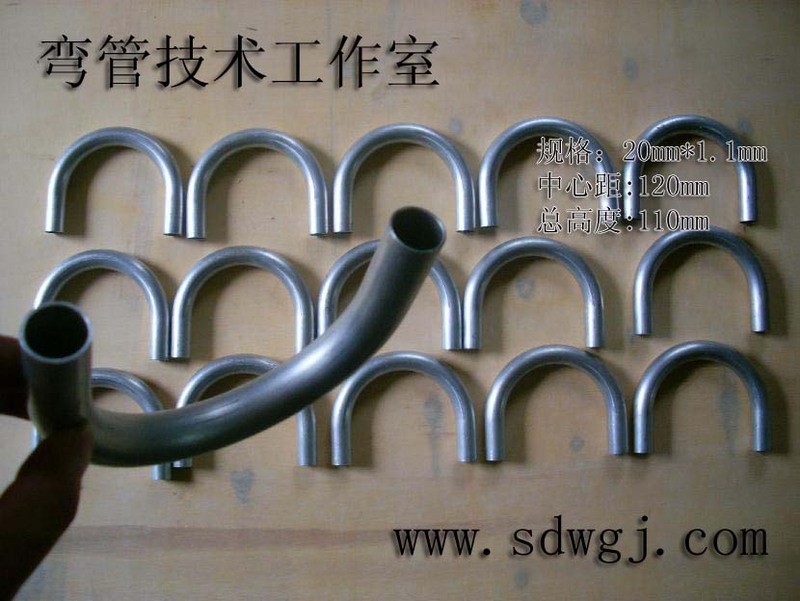 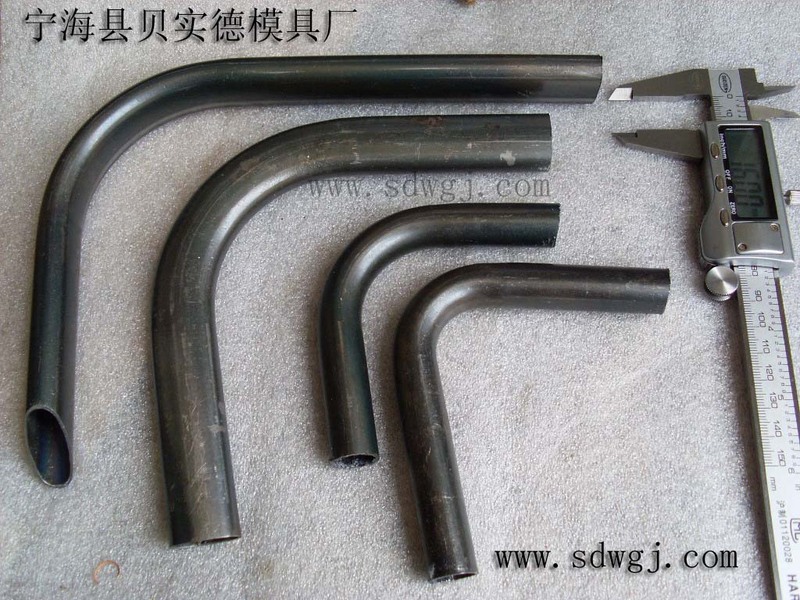 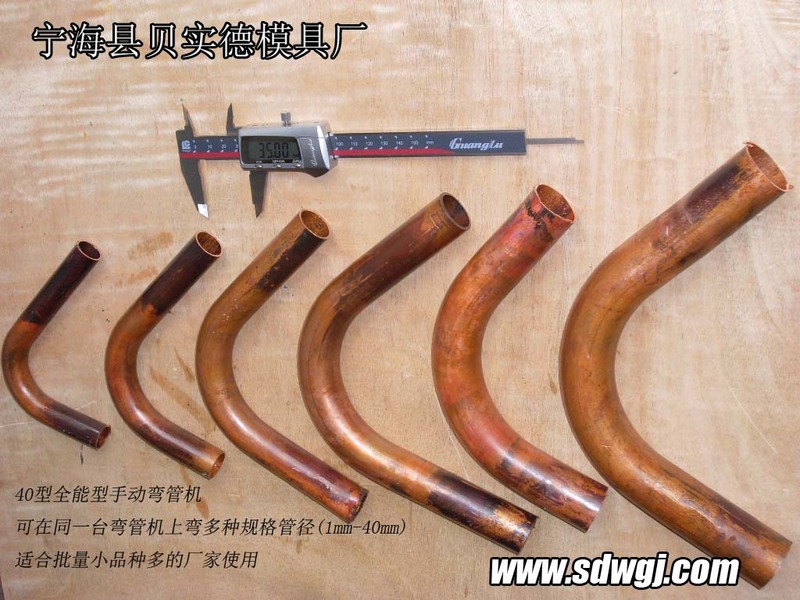 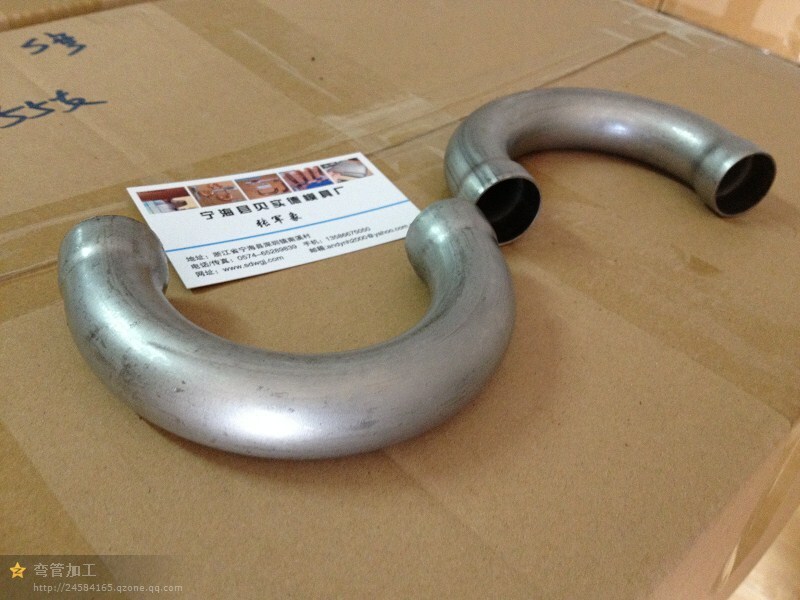 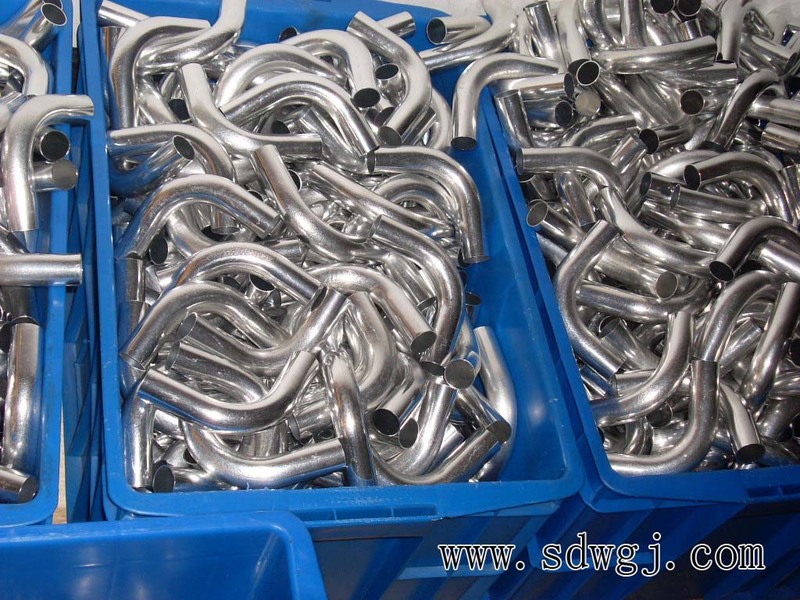 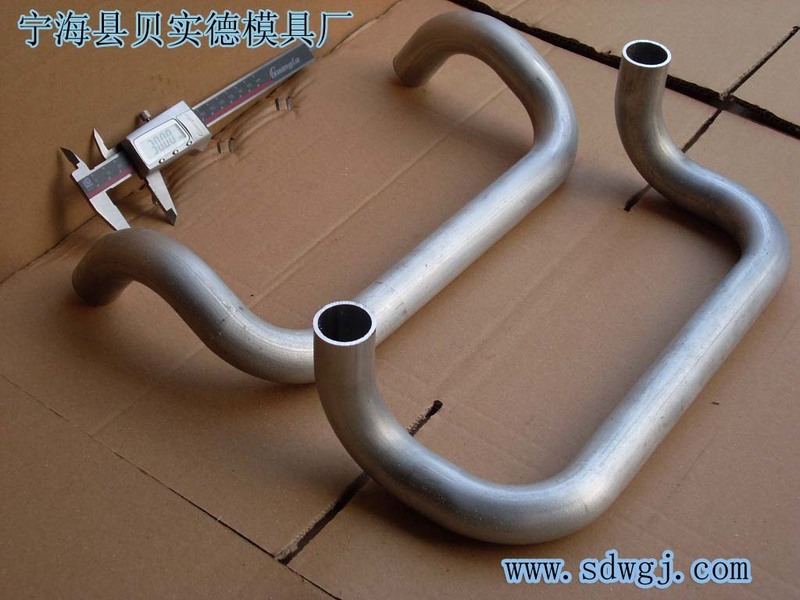 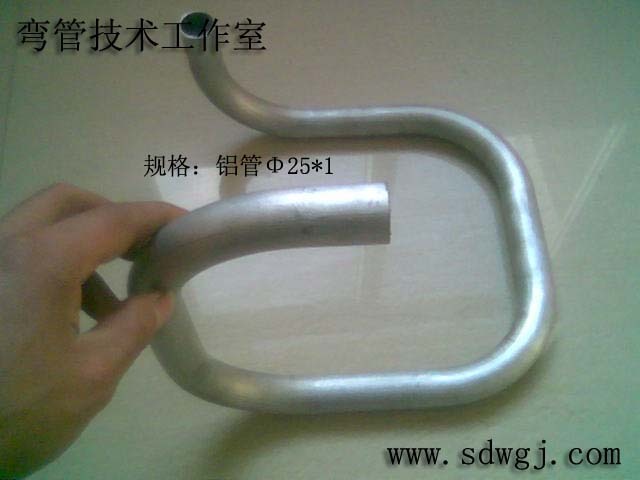 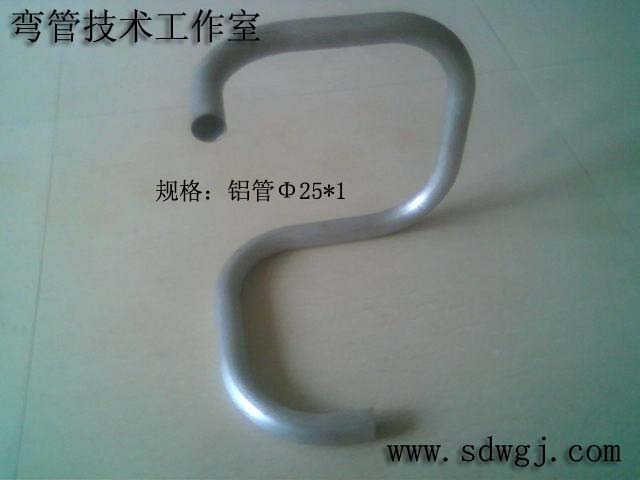 Some pieces like the R bend radius is small enough to the limit, not even within the small R, As the usual pipe technology to the processing machine is completely impossible, must use other methods to do outside. 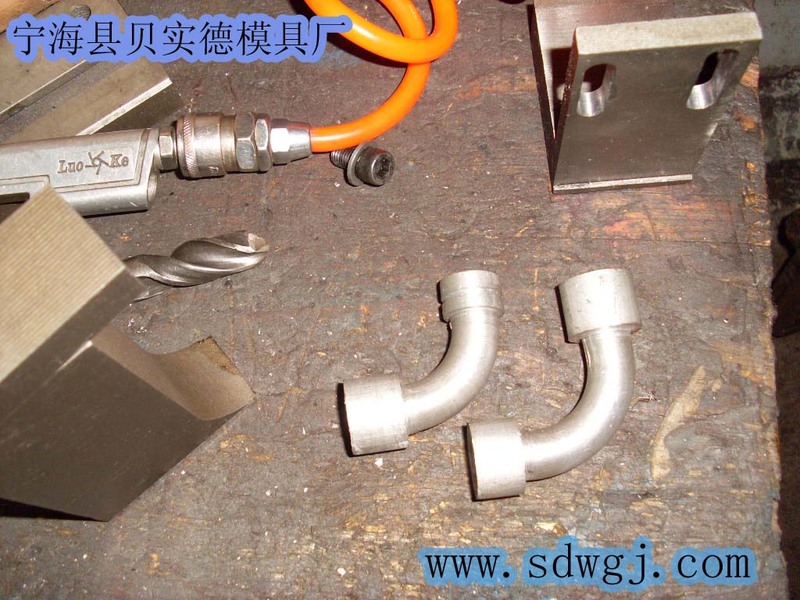 Bending do that there are many ways, but the method is to have some specific equipment, there are several ways as long as usual has used the equipment can be done. 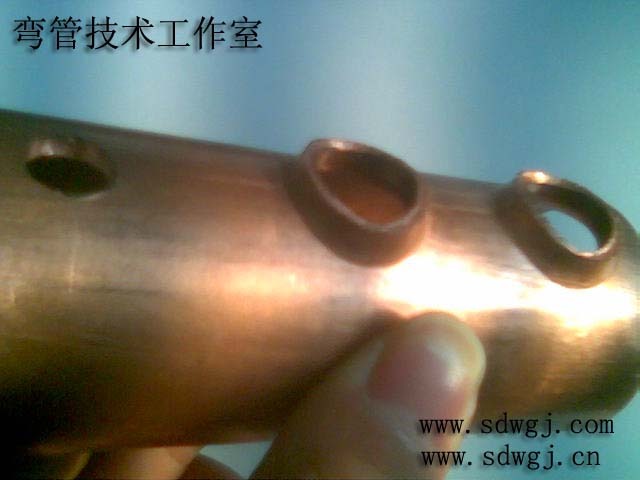 The studios know almost all such tubes processing technology and mature technology. 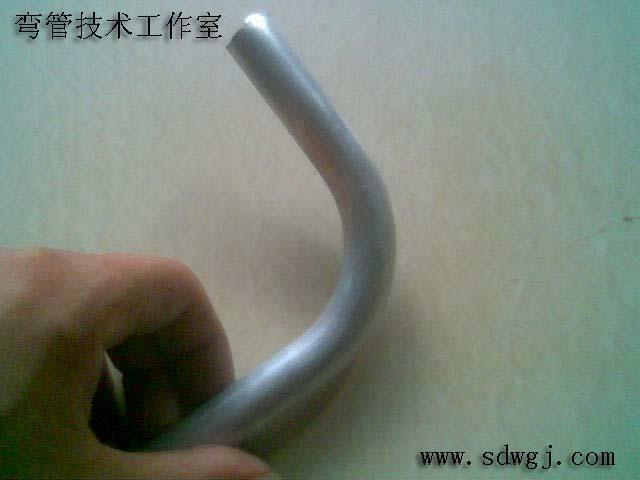 1, bending force by the operator manually flick of a lever to achieve Bend. 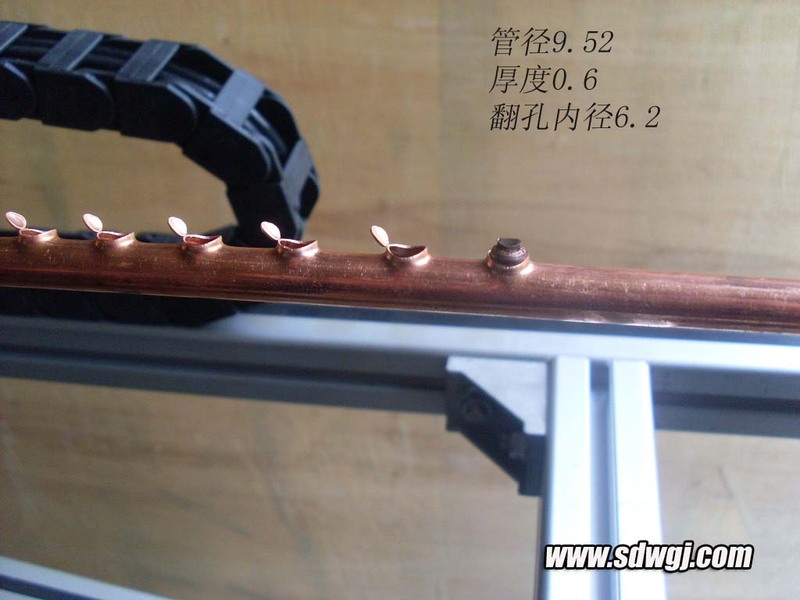 2, with round - locking oriented mode crease-resistant model (according to the actual needs of retrofitting) spring skateboards pumping mandrel angle adjustment and other backers die. 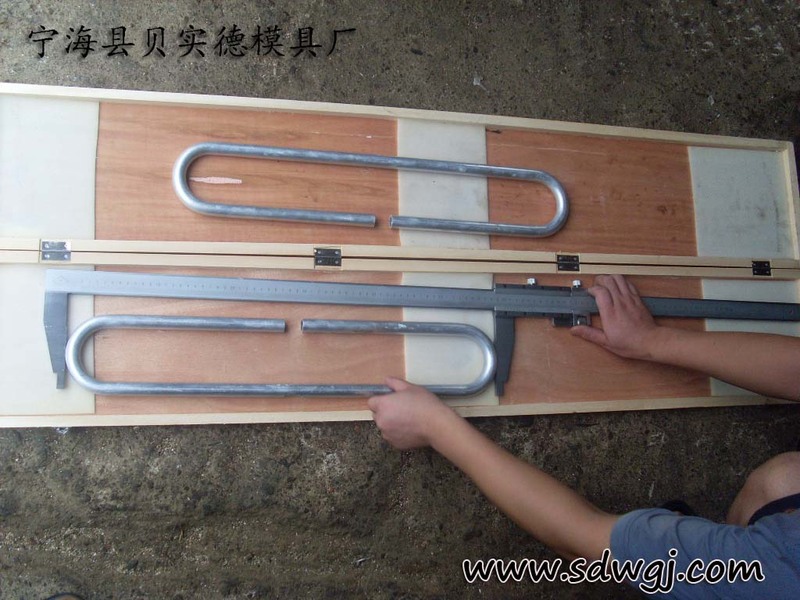 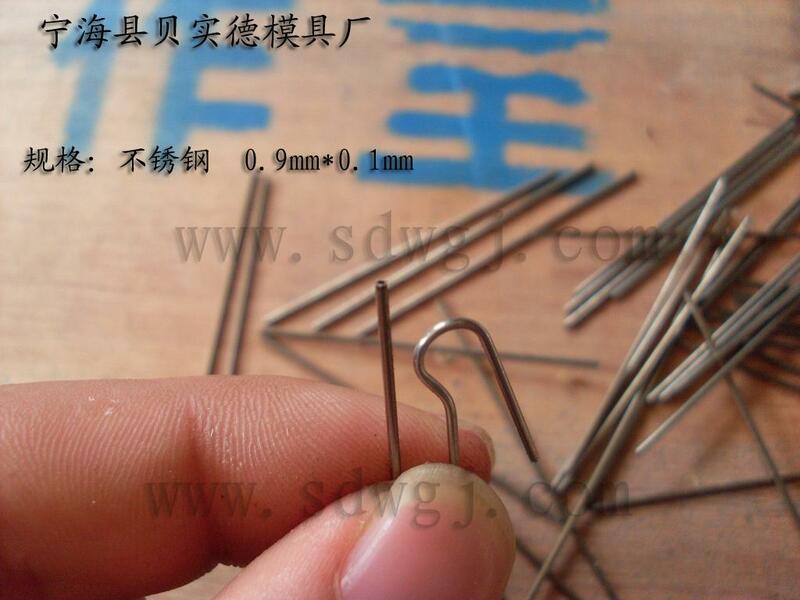 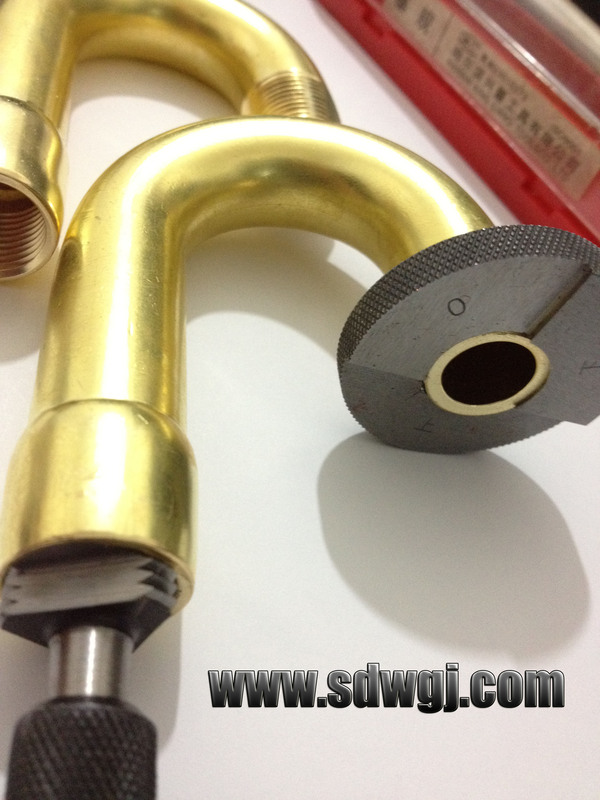 3, mold clamping oriented mold on the withholding of artificial manually locking the handle in place so that mold clamping and self-locking. 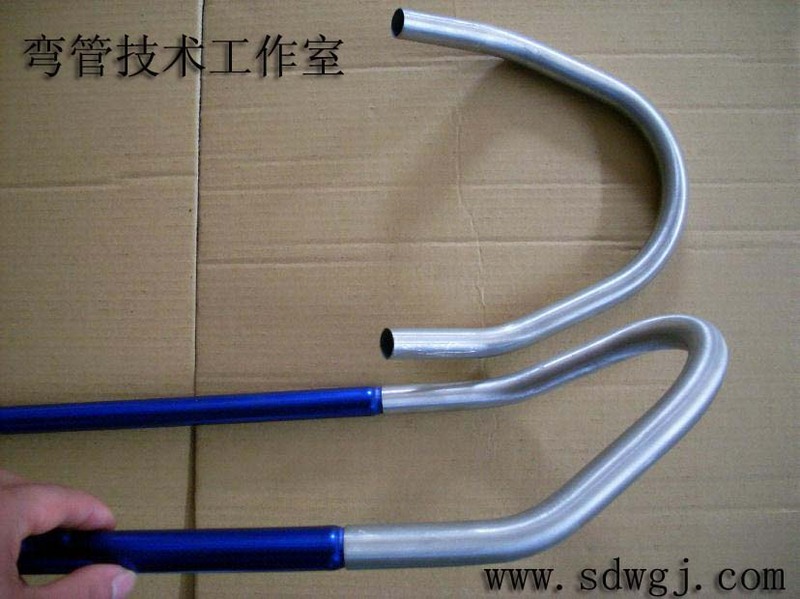 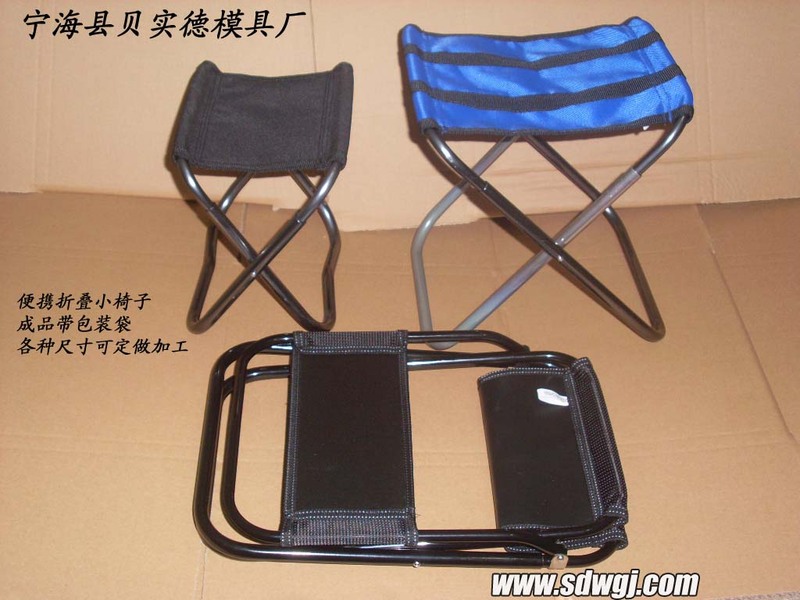 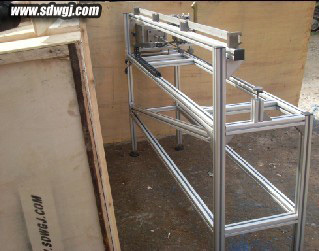 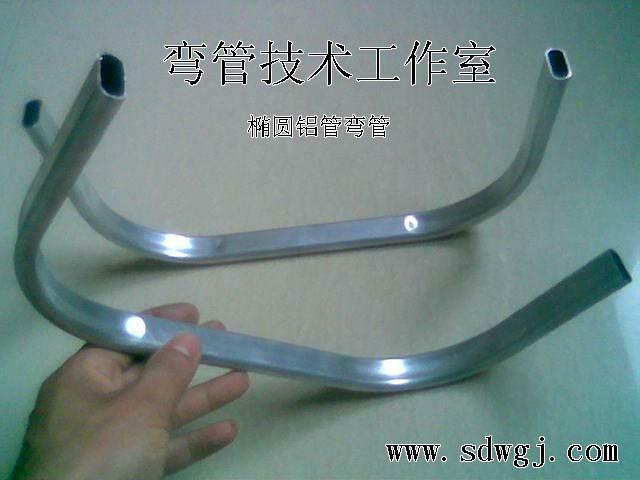 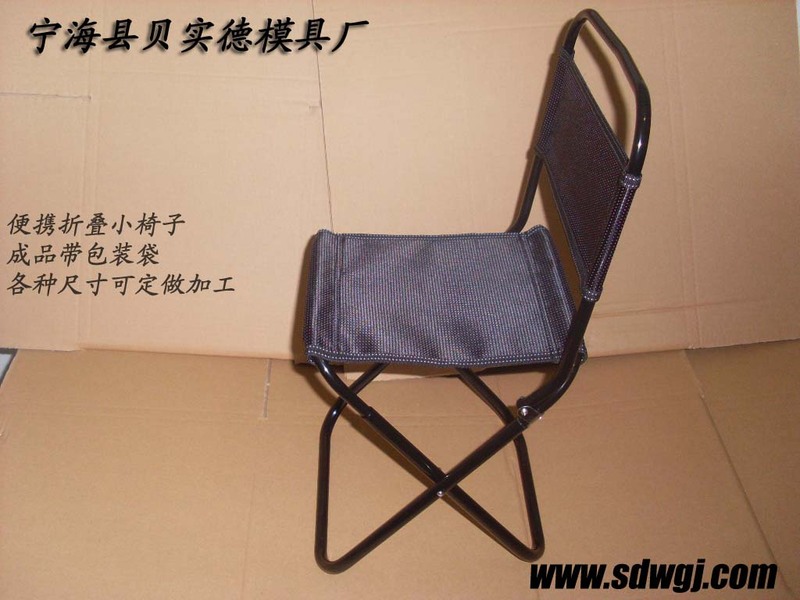 4, backers position angle adjustment can be realized bend angle adjustment. 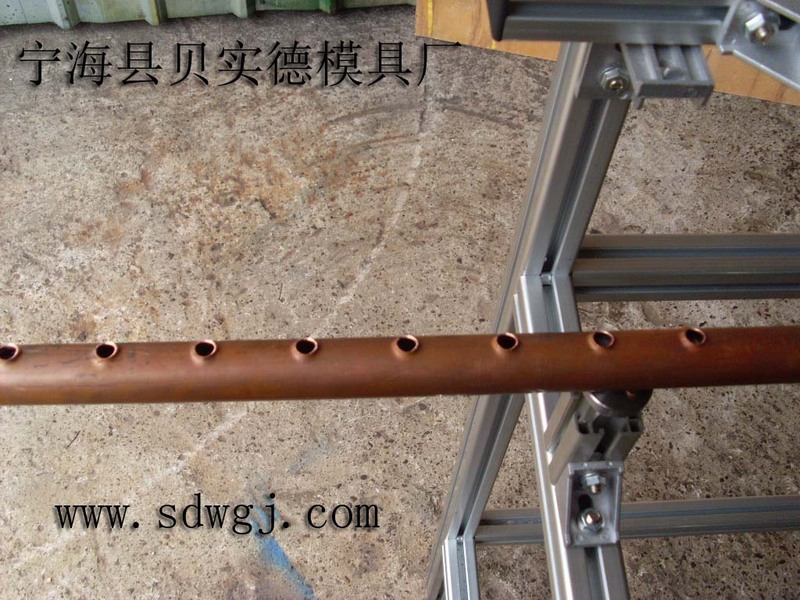 5, the entire equipment expansion by six screws in the foundation (according to the actual needs of the base configuration).